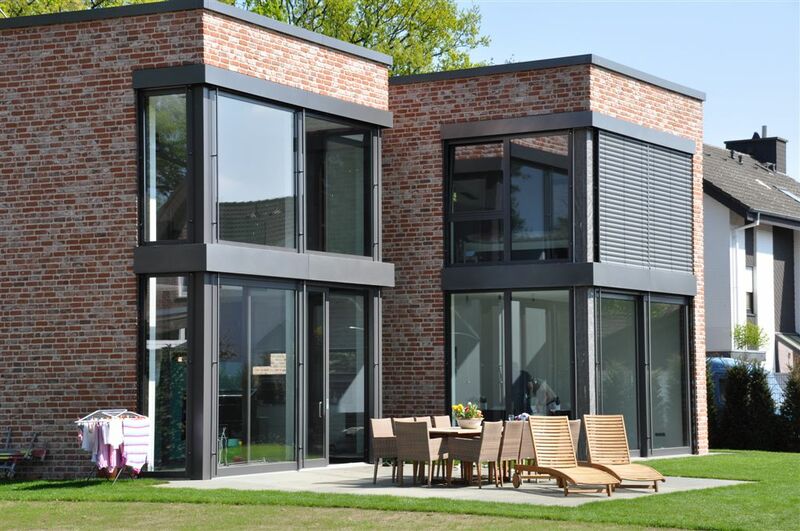 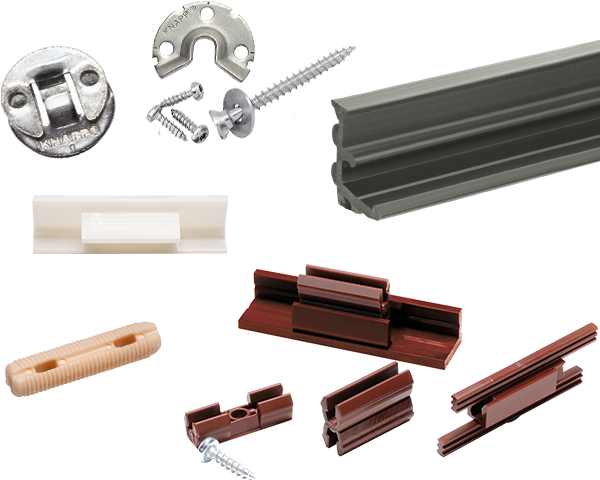 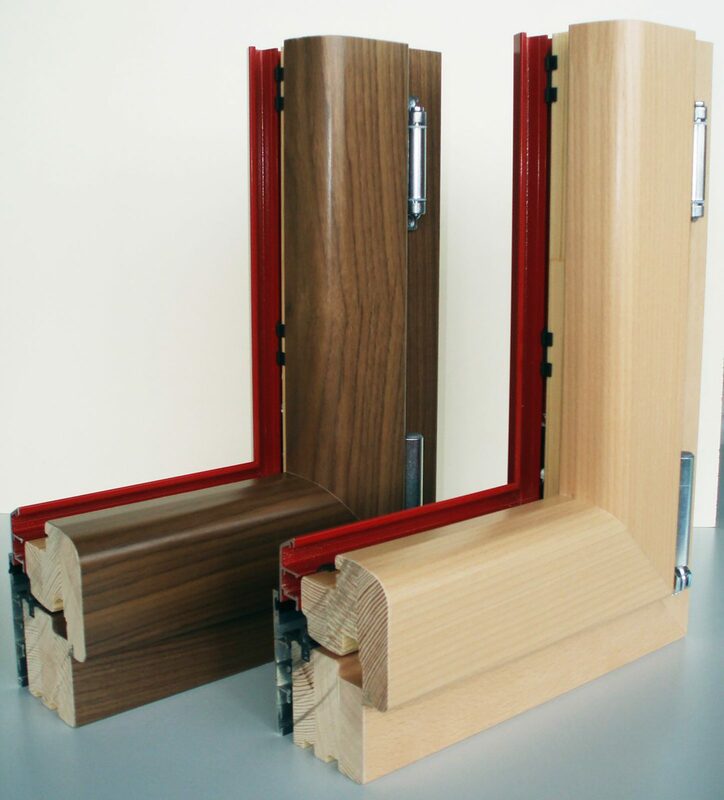 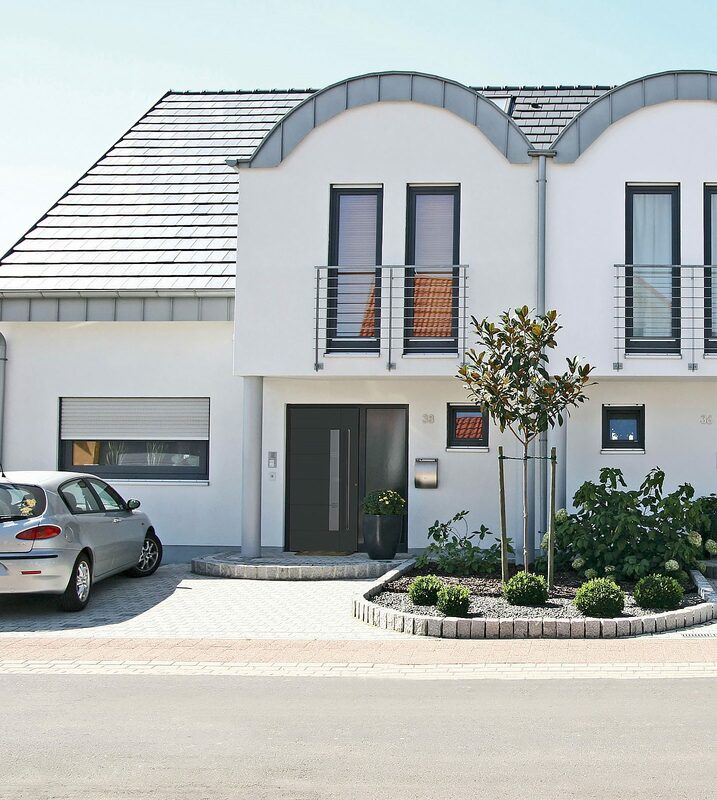 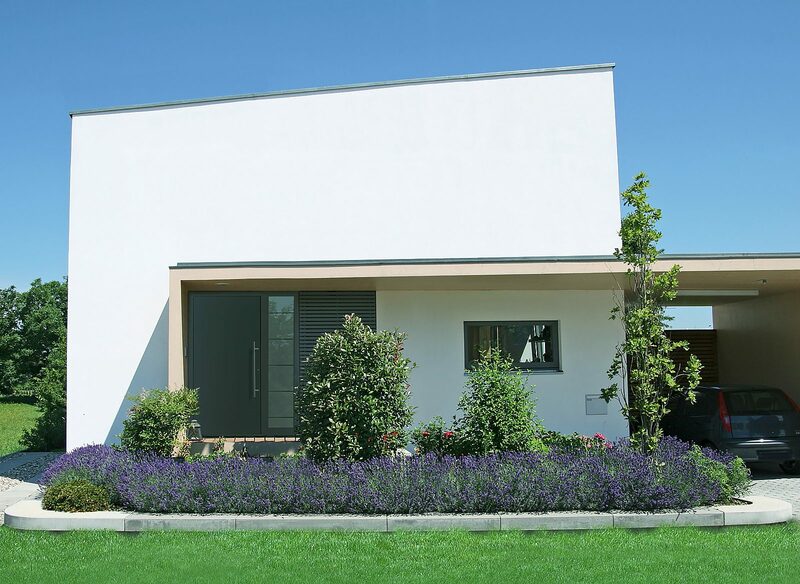 The DUO 30, DUO 35 and UNO 30 systems offer innovative fasteners solutions for applications, such as facades and windows, interior and exte-rior claddings, and much more. 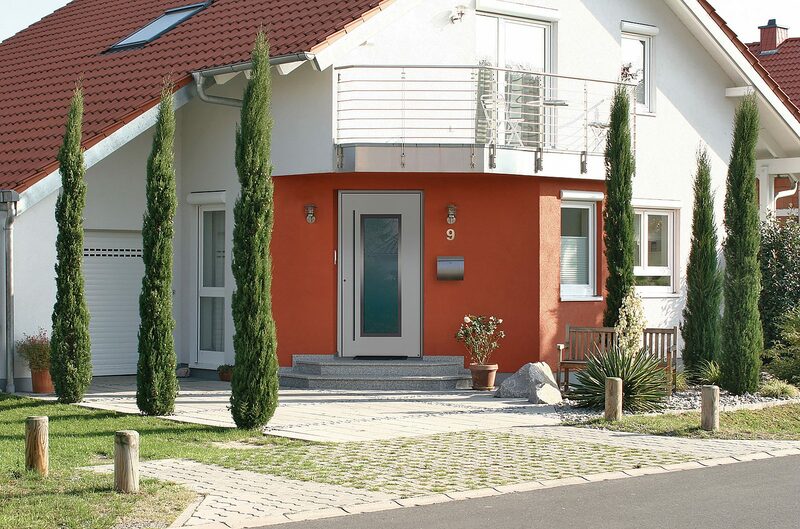 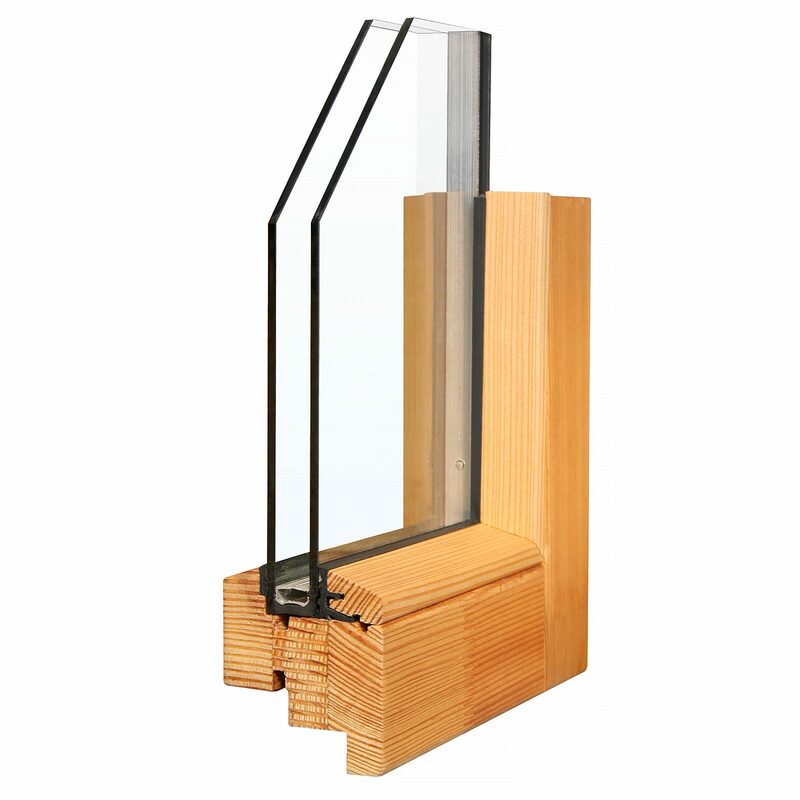 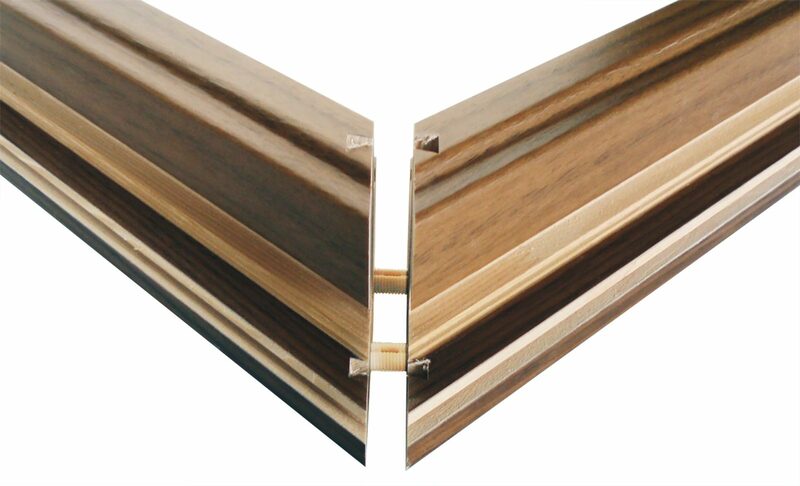 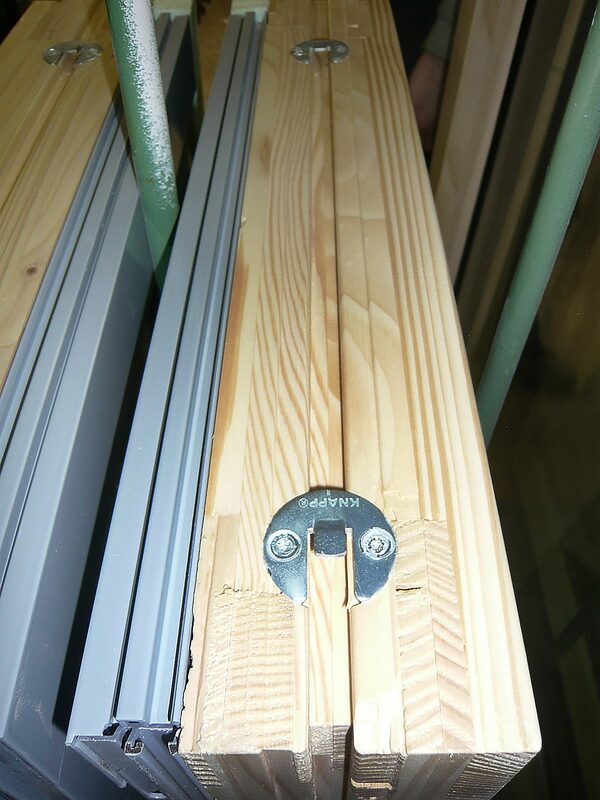 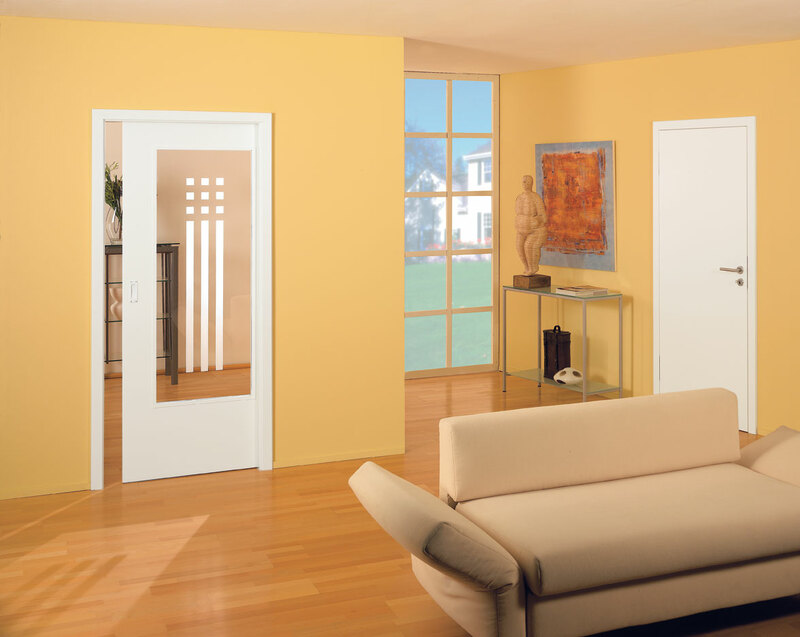 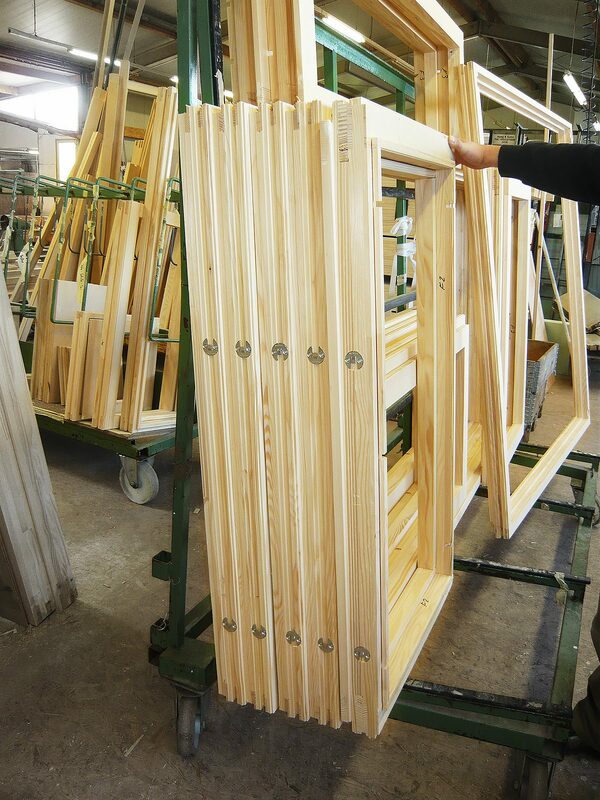 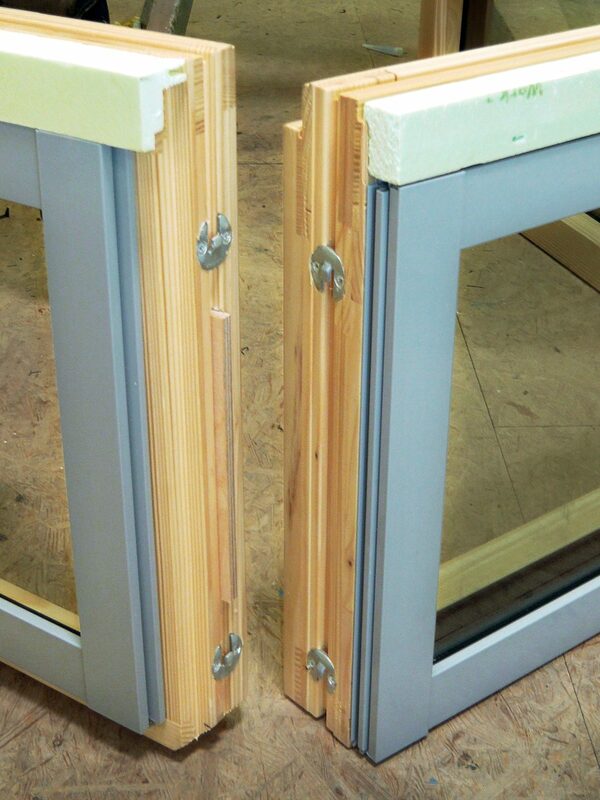 The universal KNAPP Dowel is a weather-resistant plastic dowel that especially suits door and window framing. 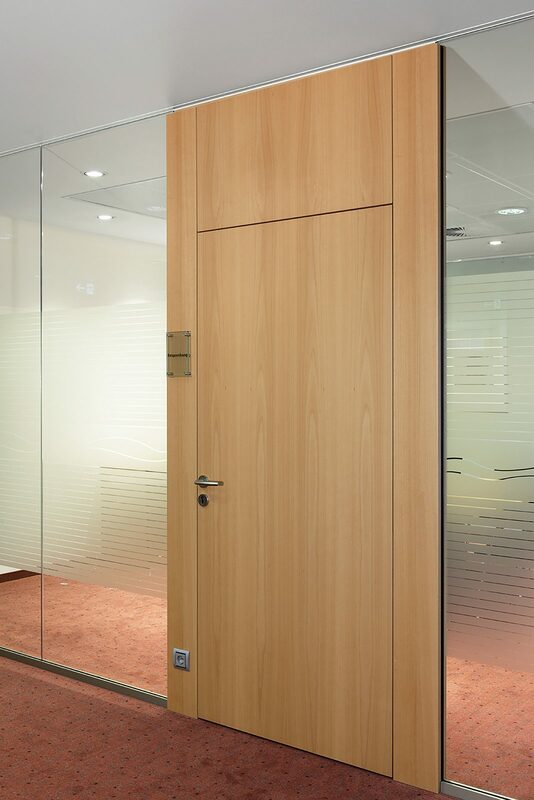 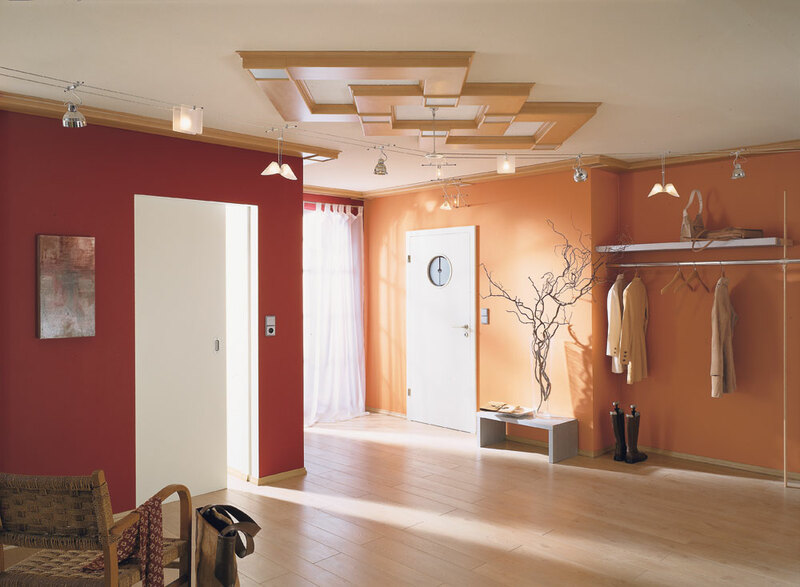 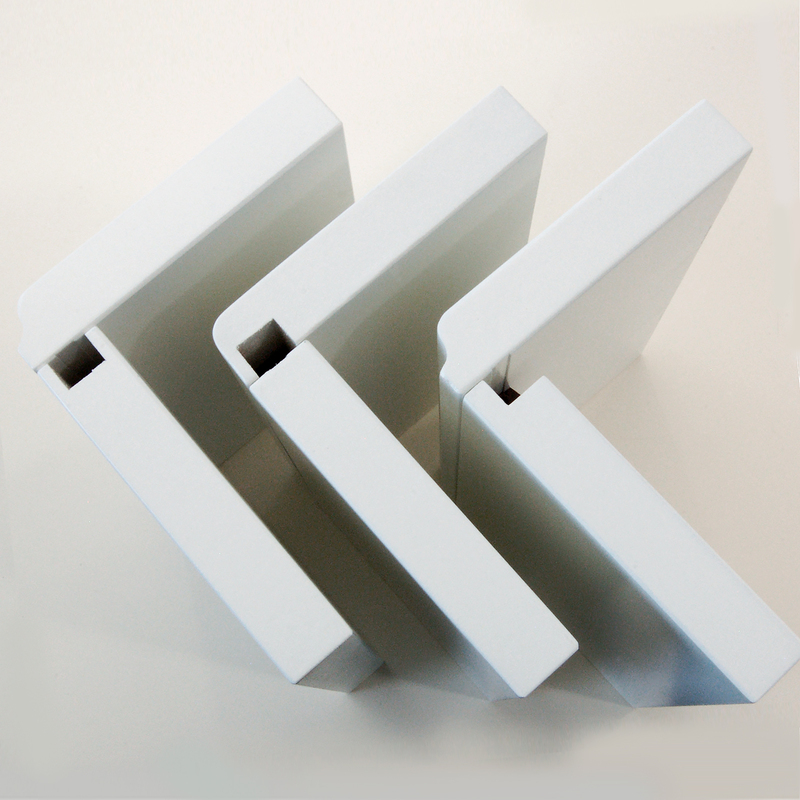 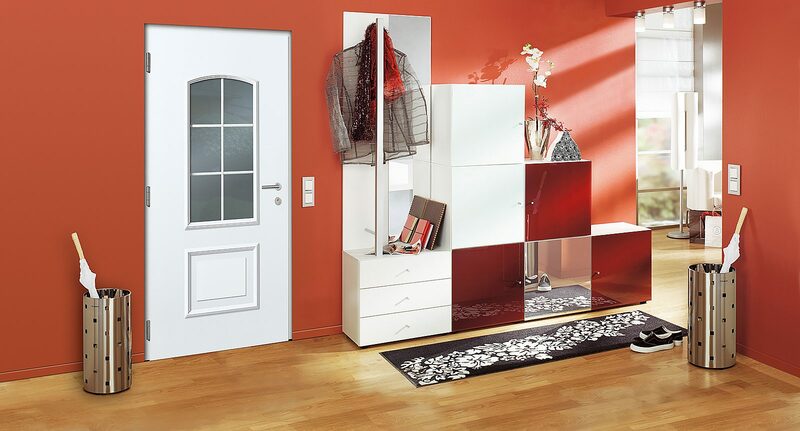 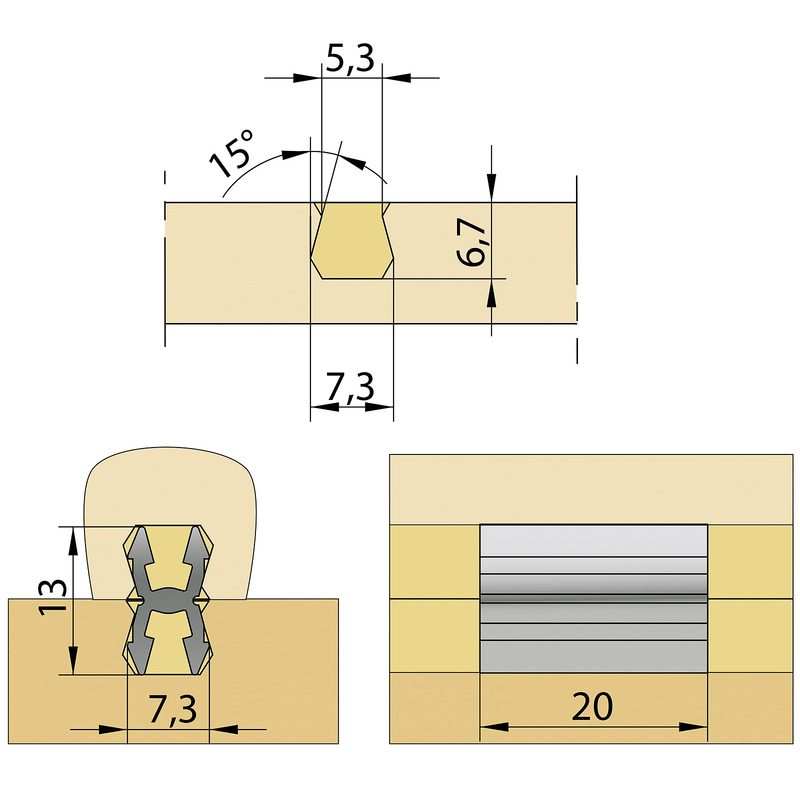 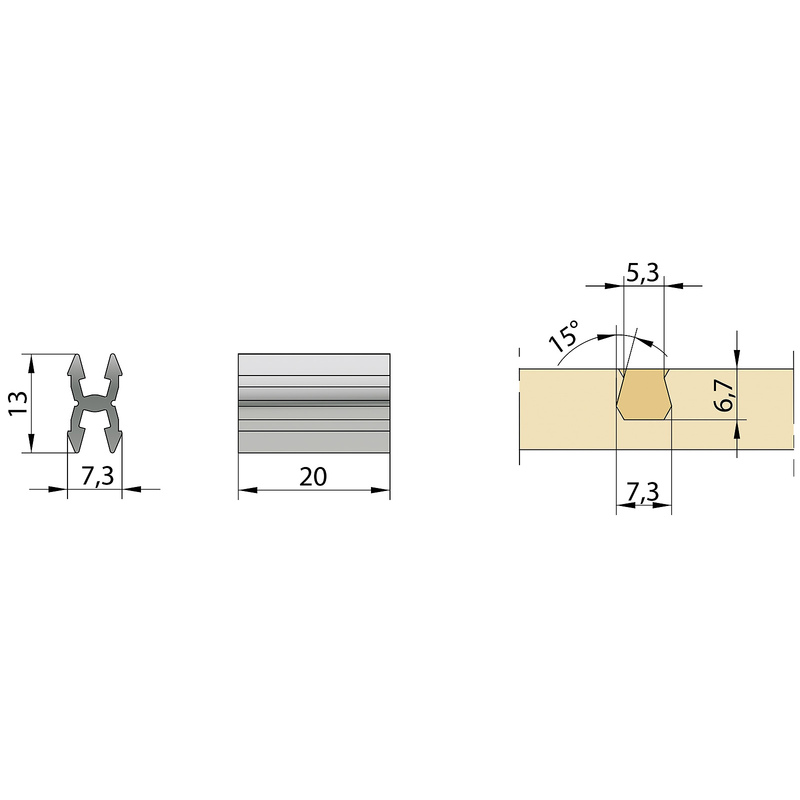 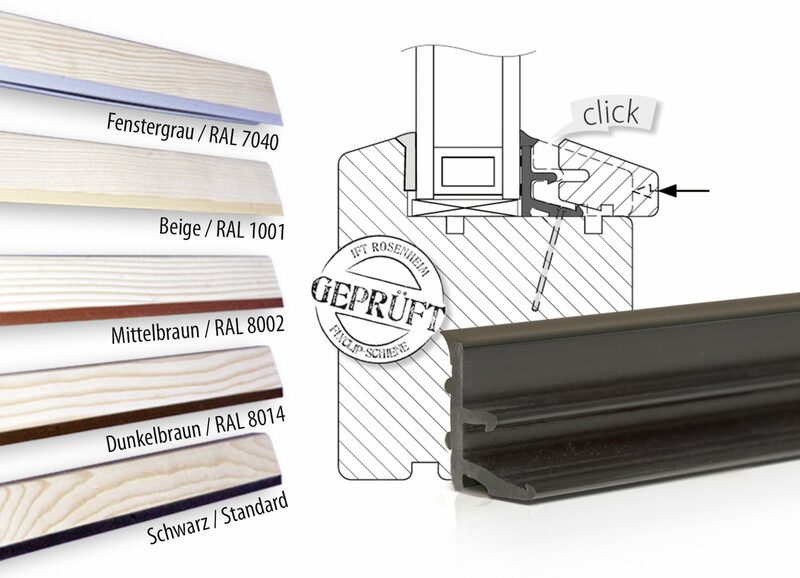 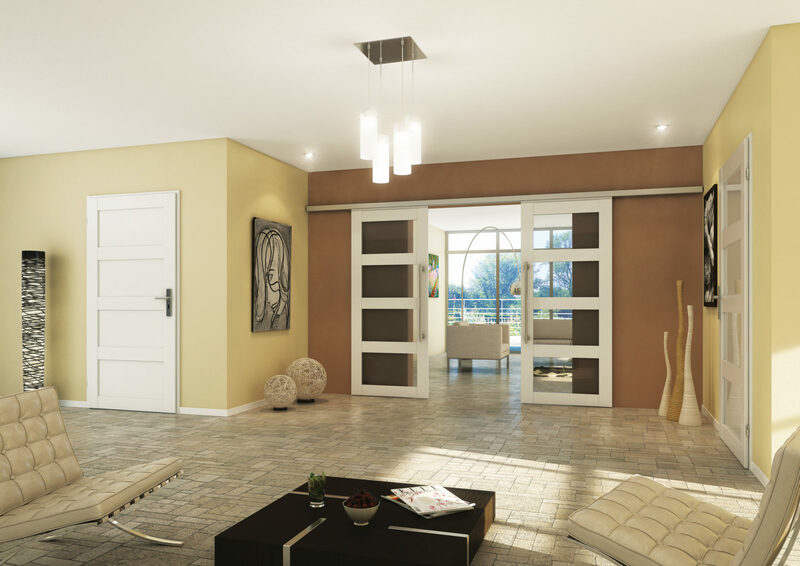 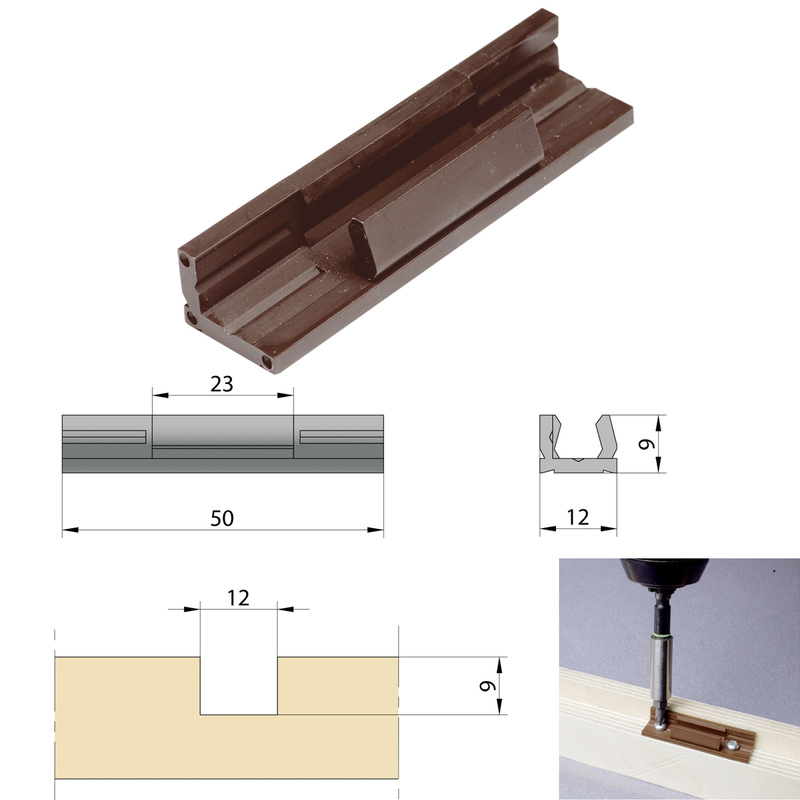 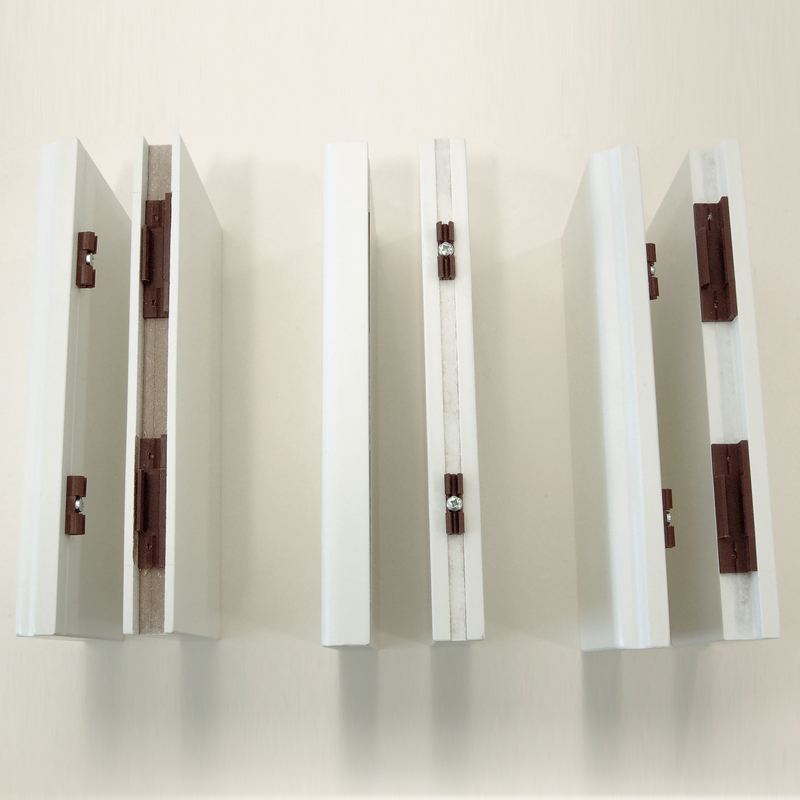 The KLICK System offers all the advantages to fasten components with small dimensions, such as moldings. 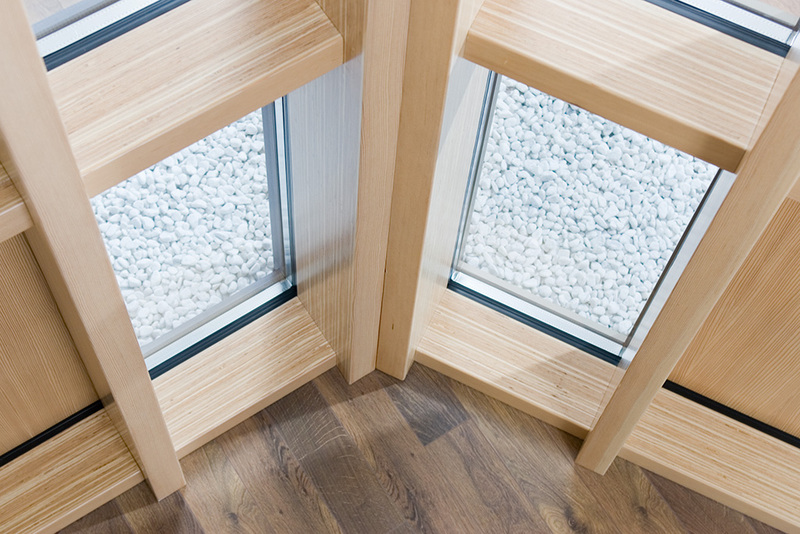 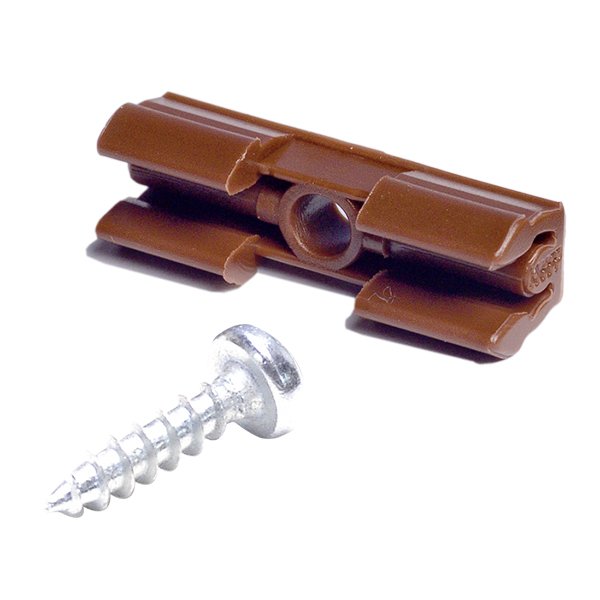 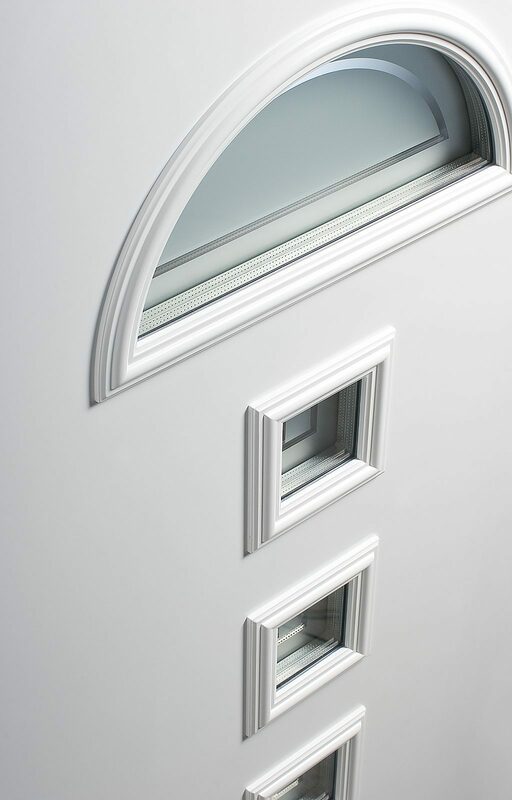 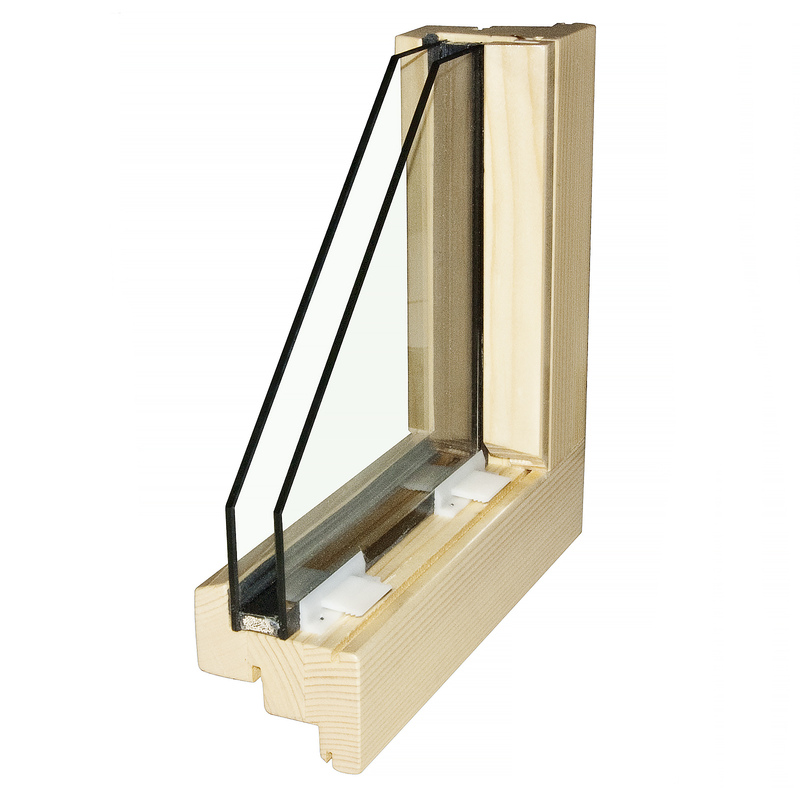 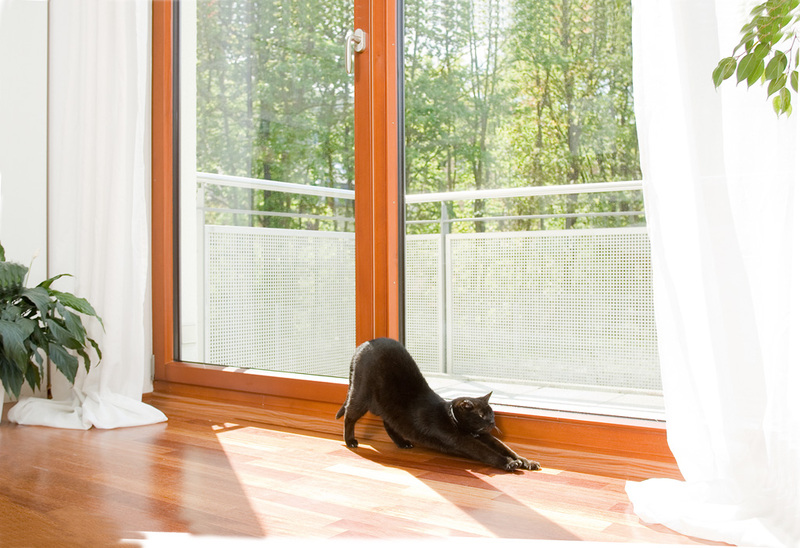 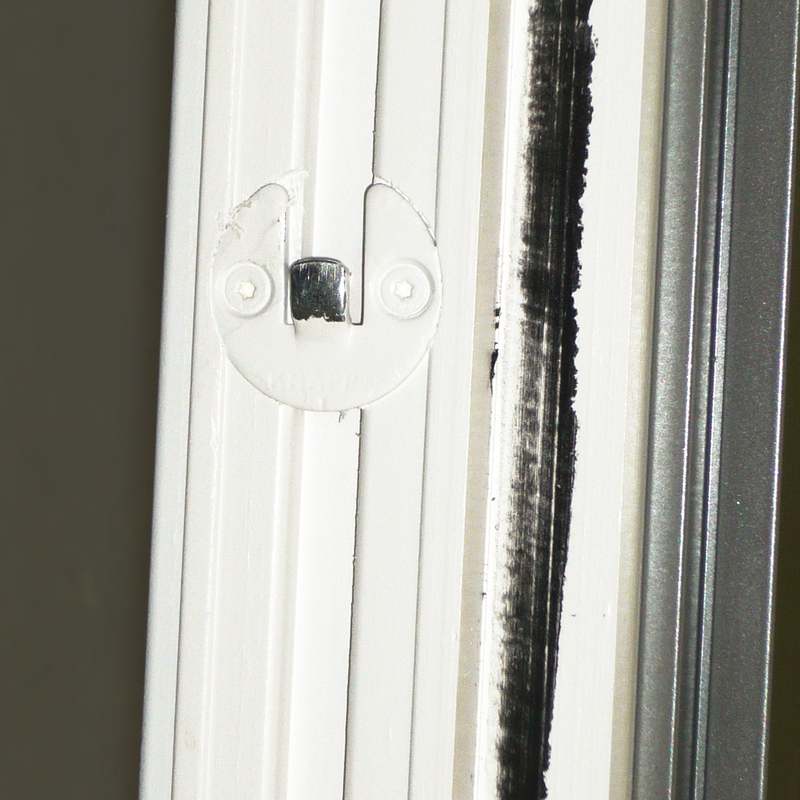 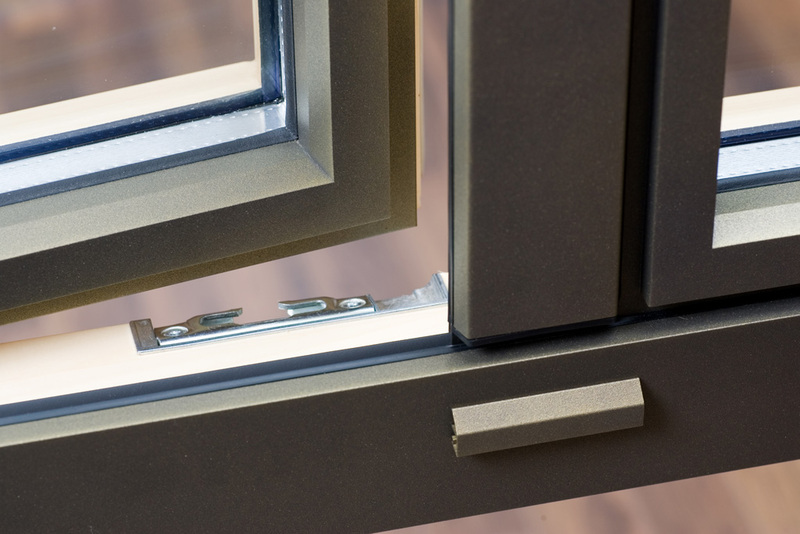 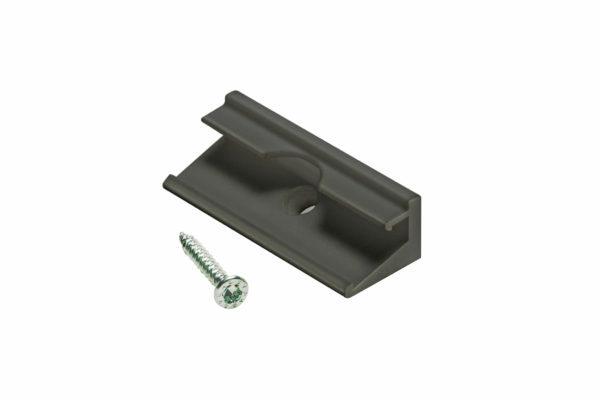 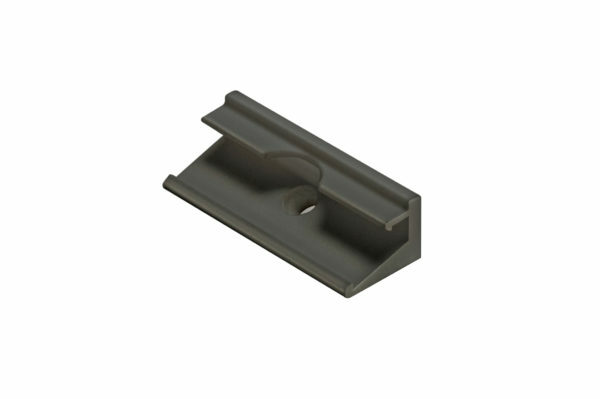 The FIXclip Profile and FIXclip offer flawless fixing of glazing beads for windows. 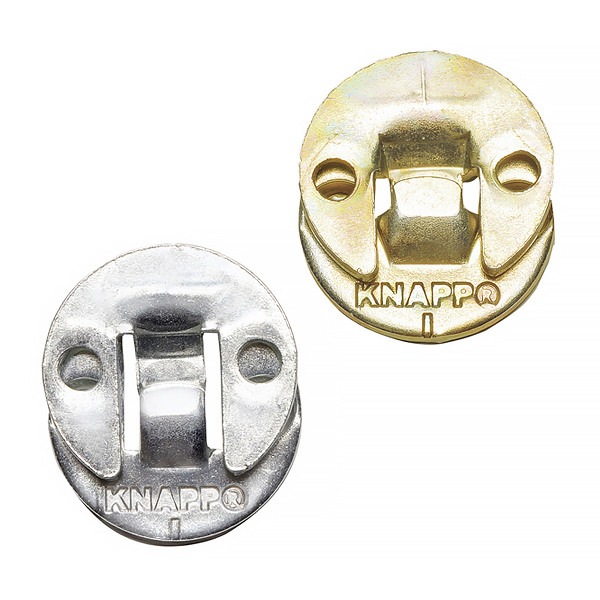 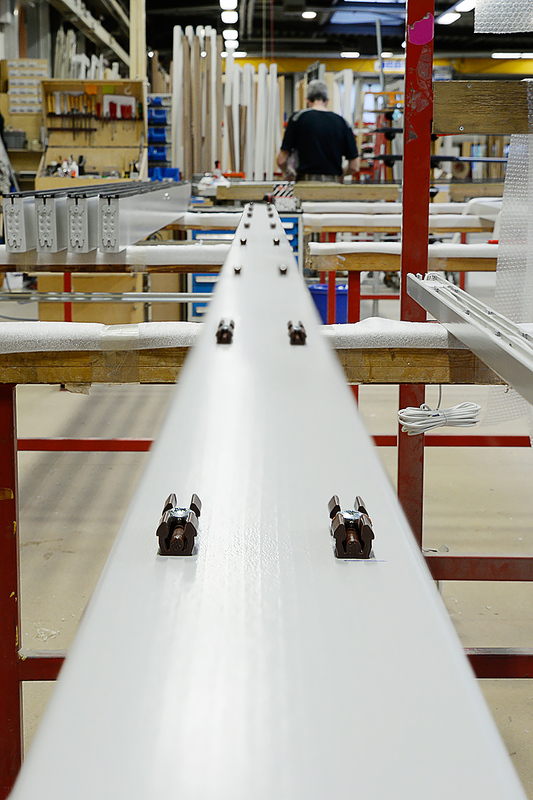 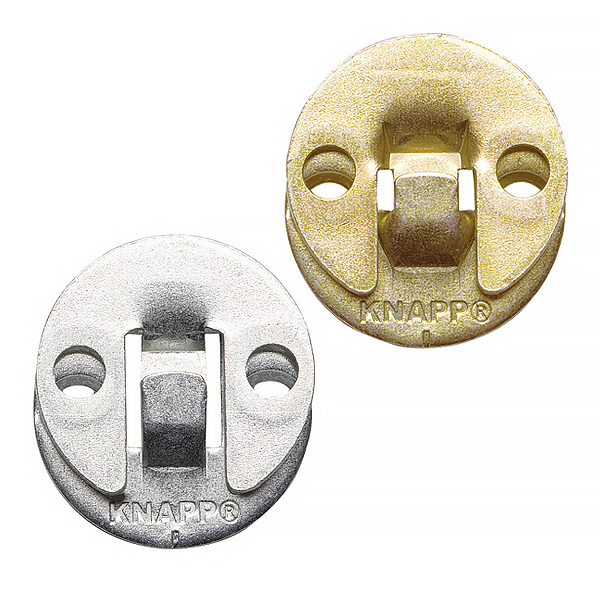 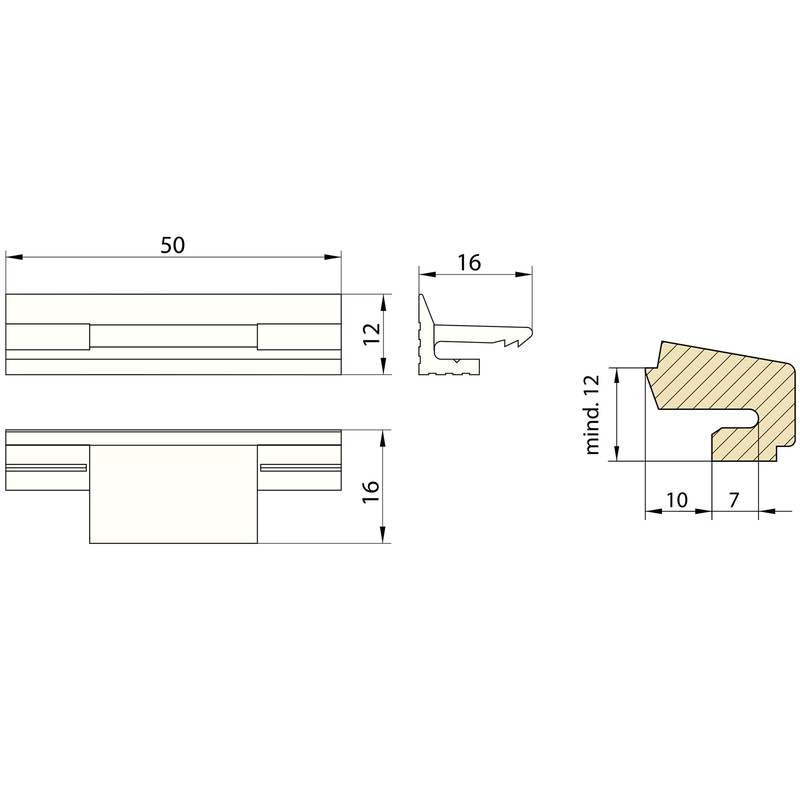 KNAPP connectors allow a high degree of pre-fabrication. 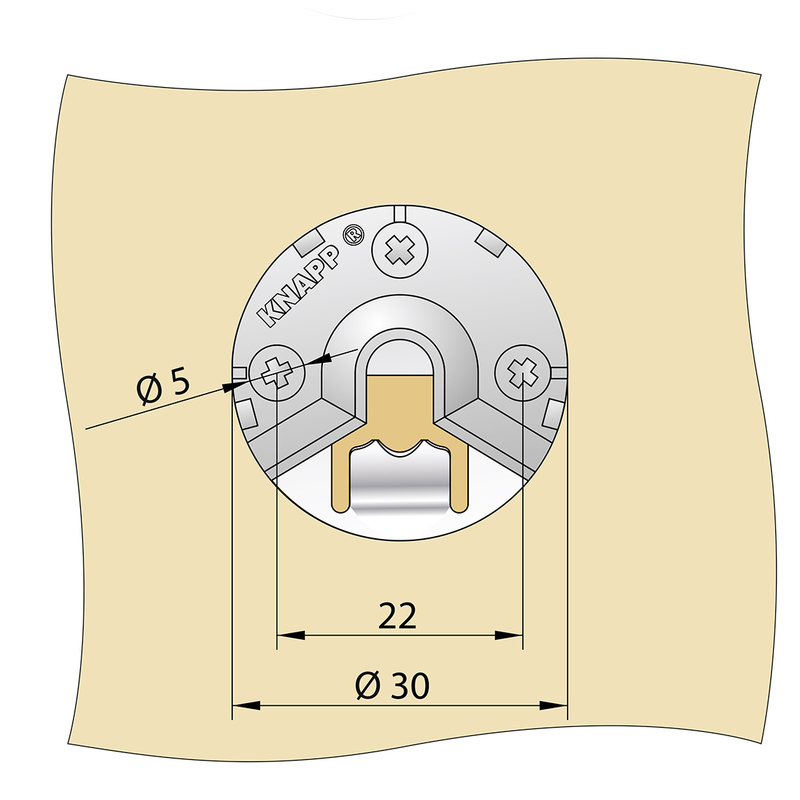 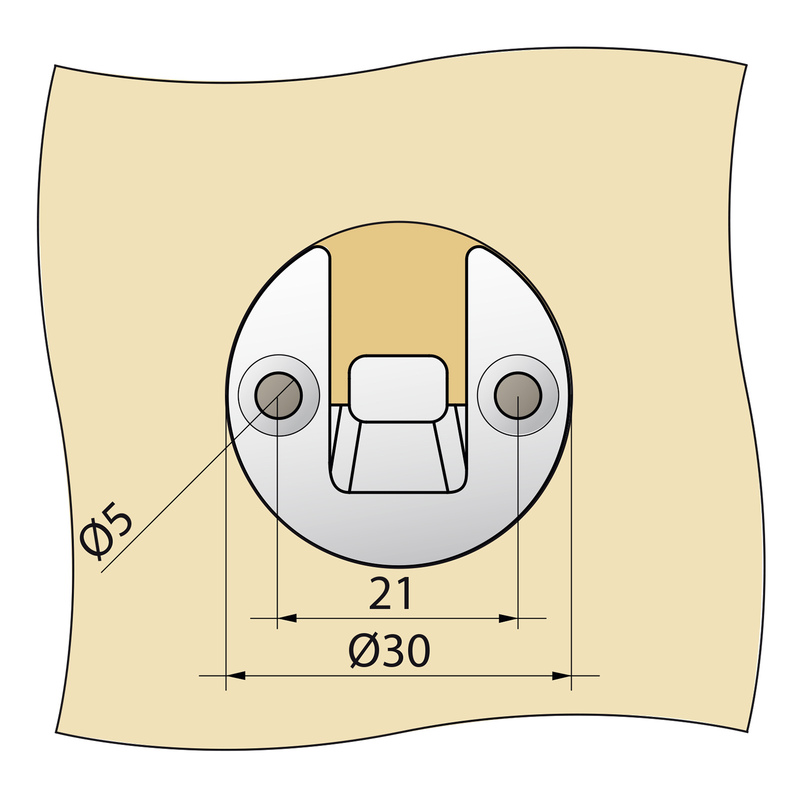 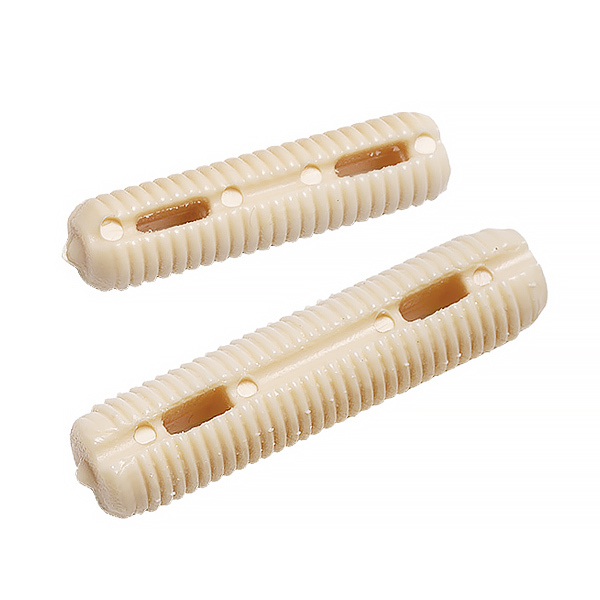 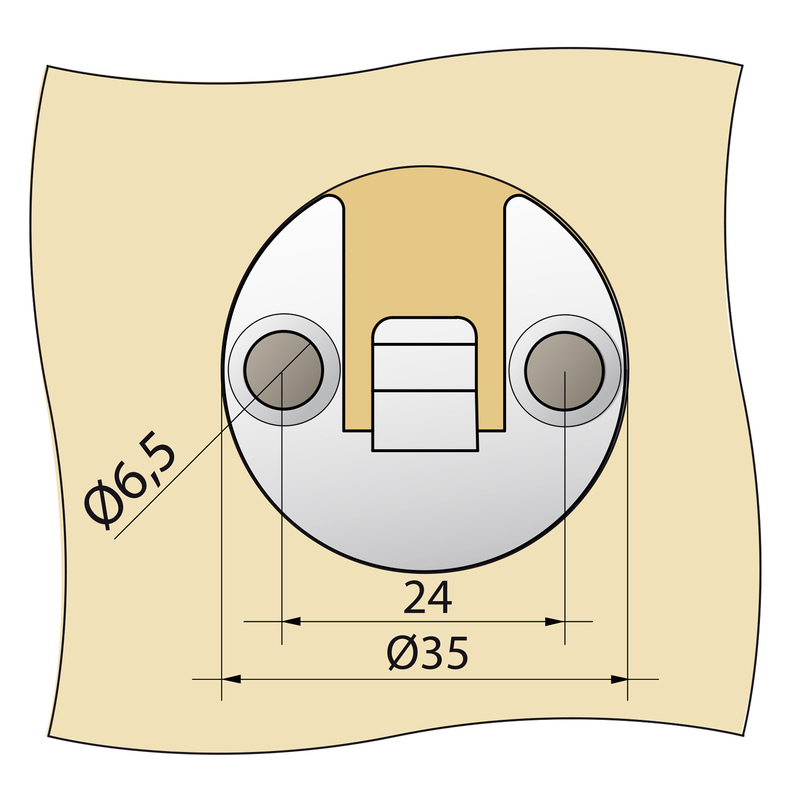 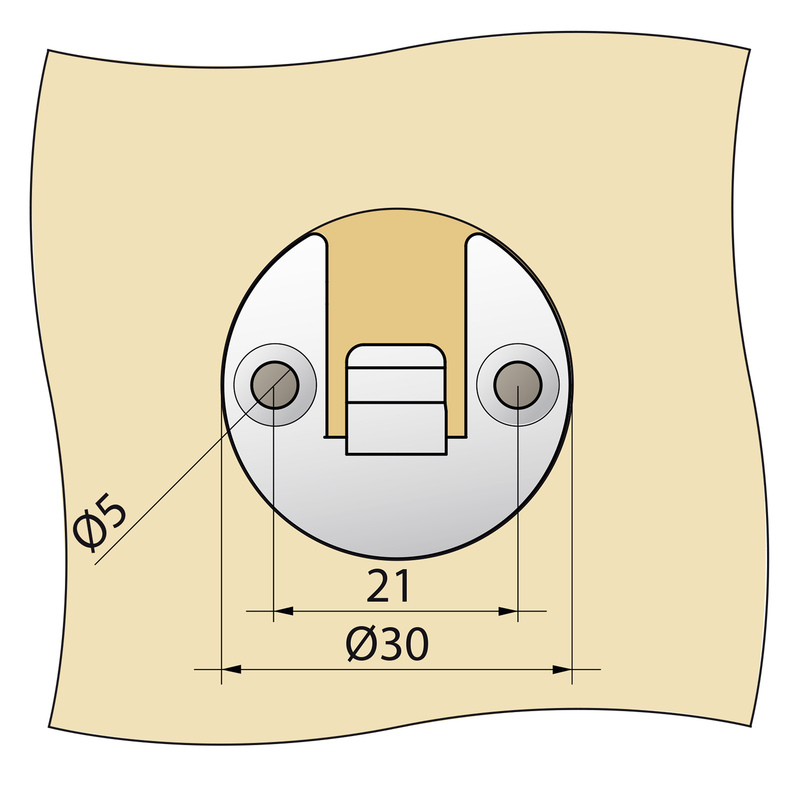 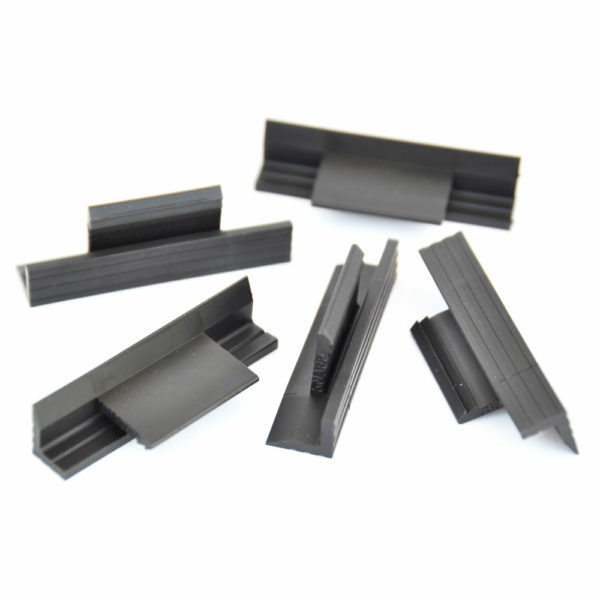 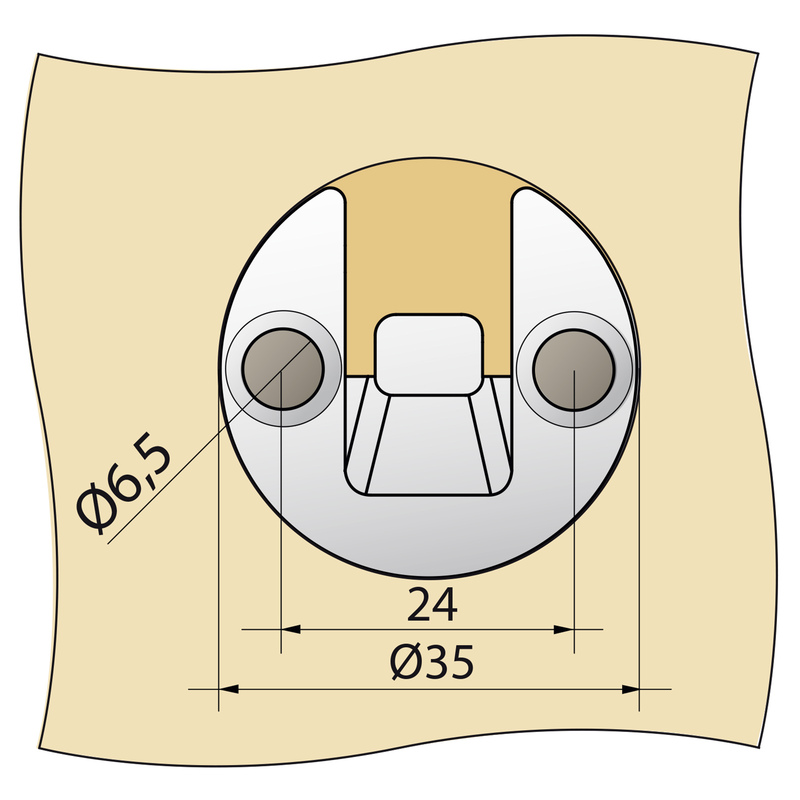 All connectors are recessed and are non-invisible, self-tightening, and can be disas-sembled and reassembled in most cases. 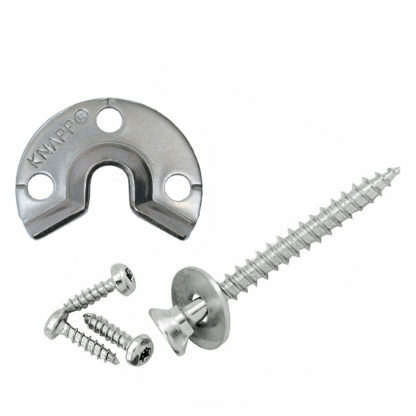 Our fasteners meet the highest standards during the processing phase and assure an esthetically pleasing end design. 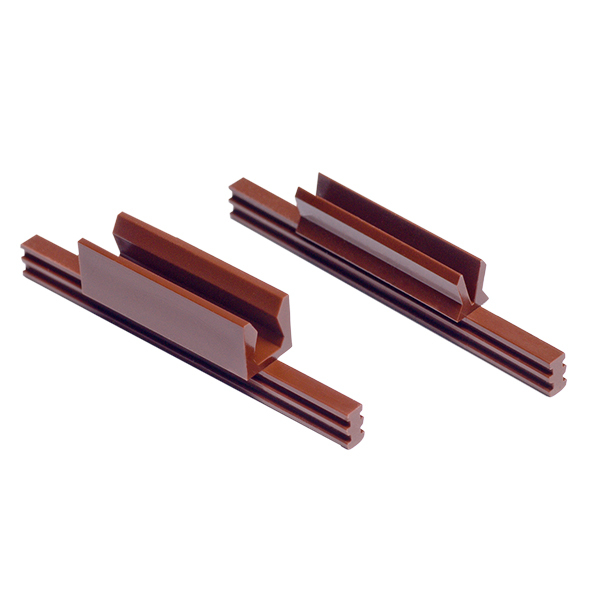 The DUO 30 and DUO 35 set consist of two identical round shaped steel brackets that hook into each other in a dovetail-like manner. 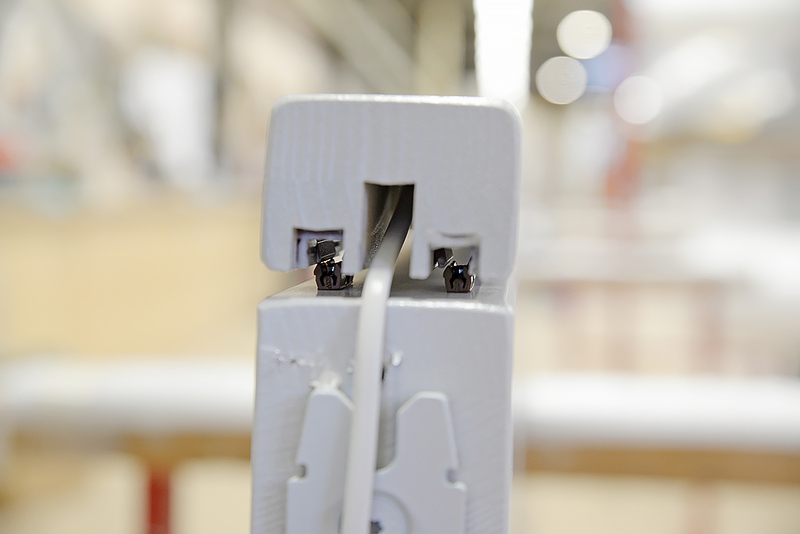 The connectors are load bearing, at the same time the brackets are screwed on the components mounted to each other. 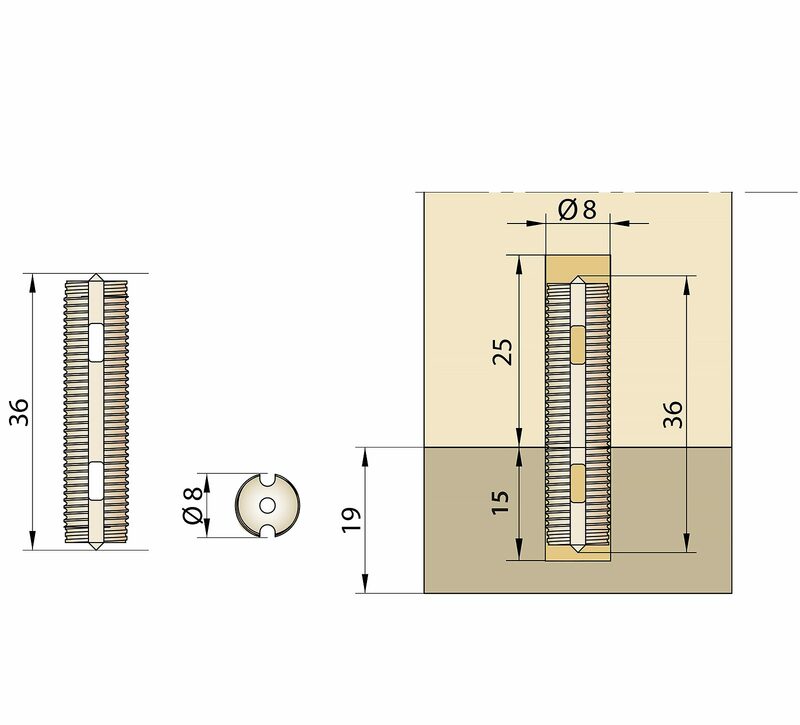 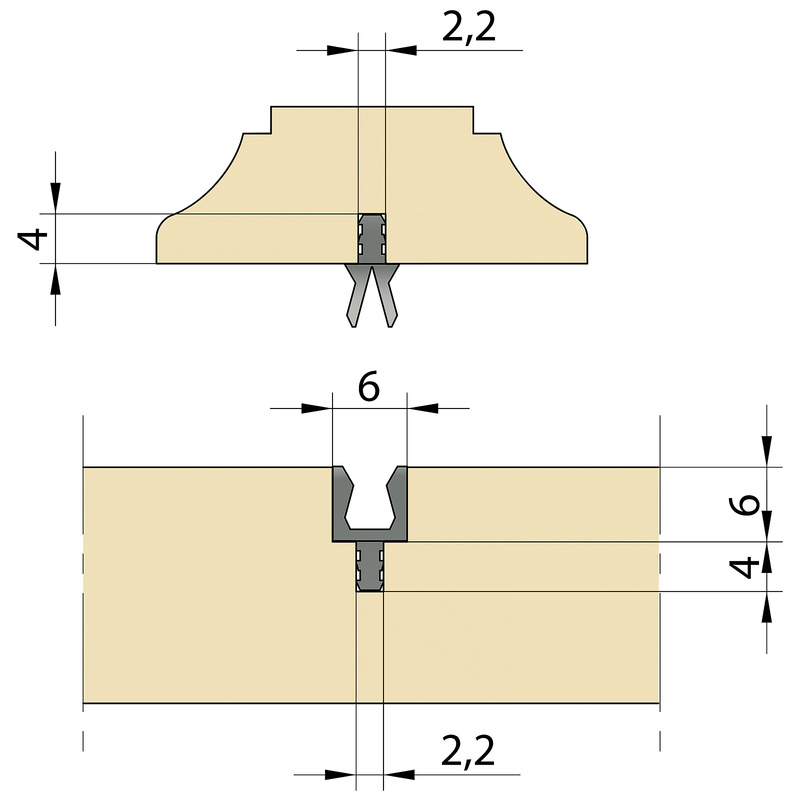 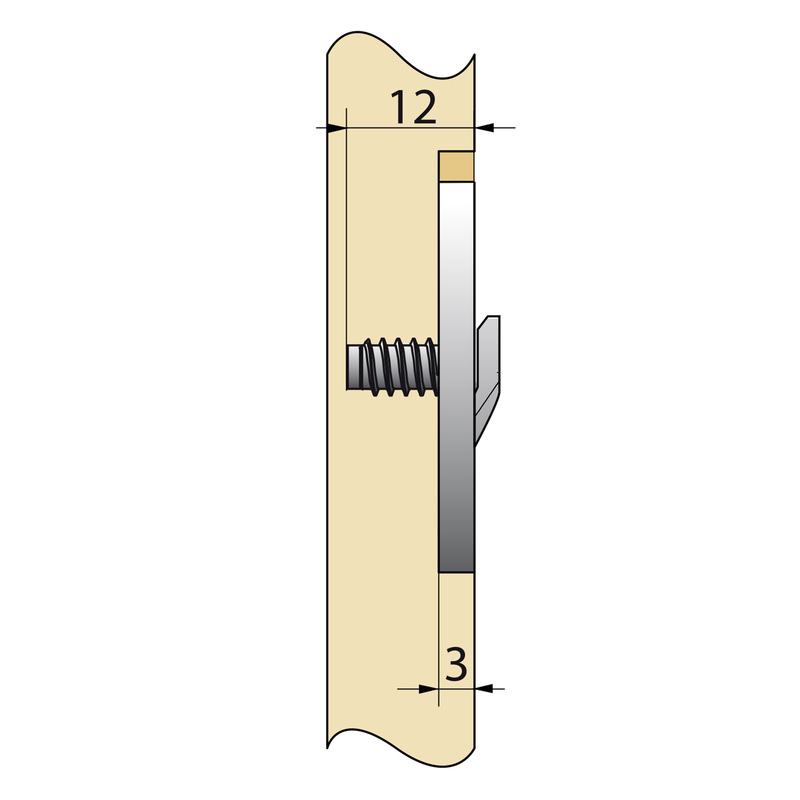 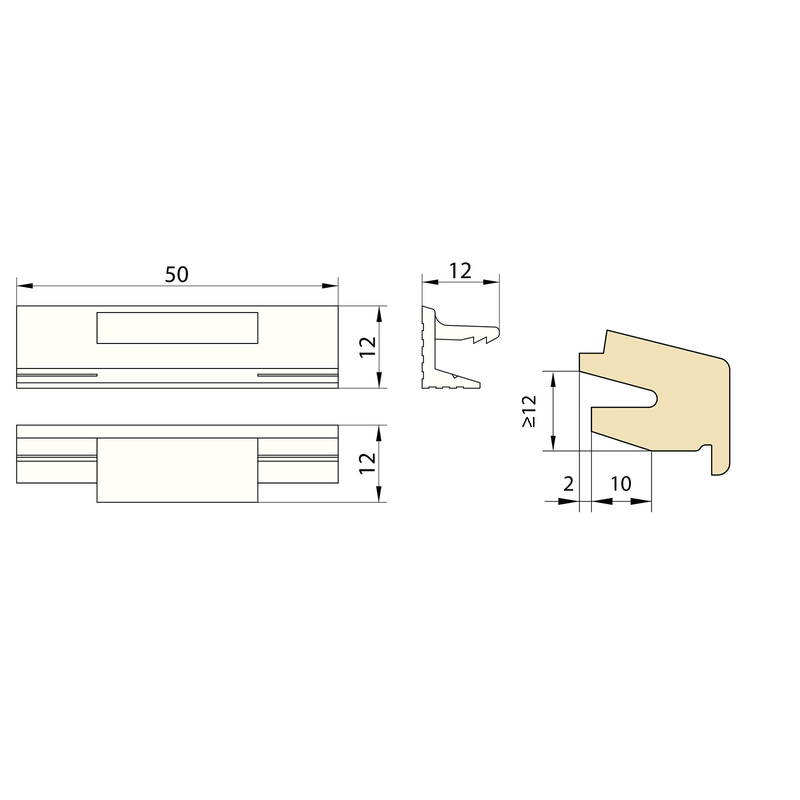 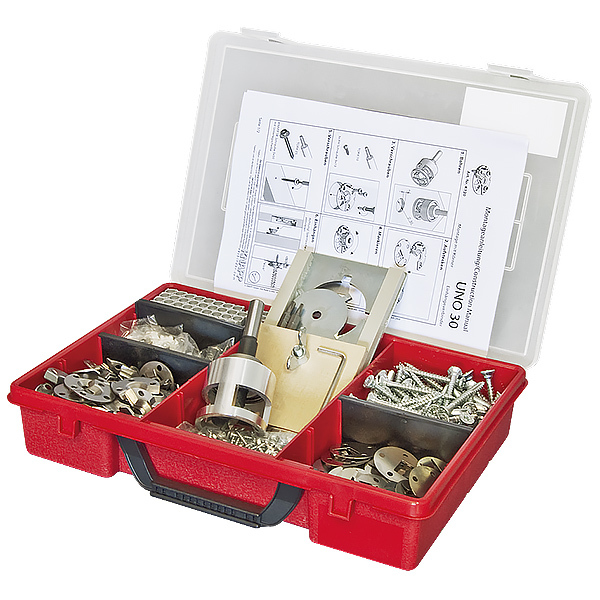 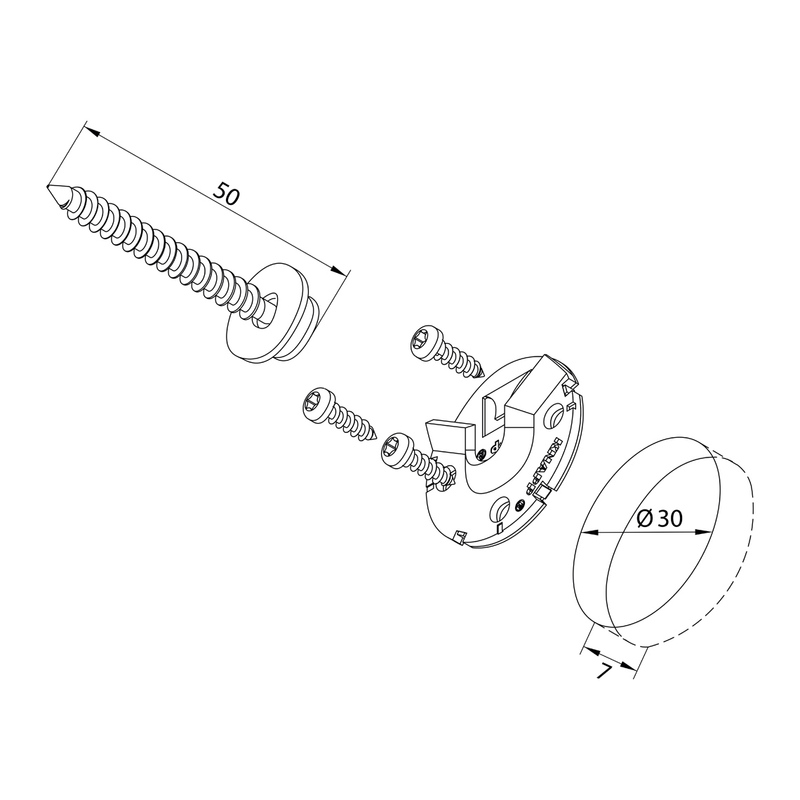 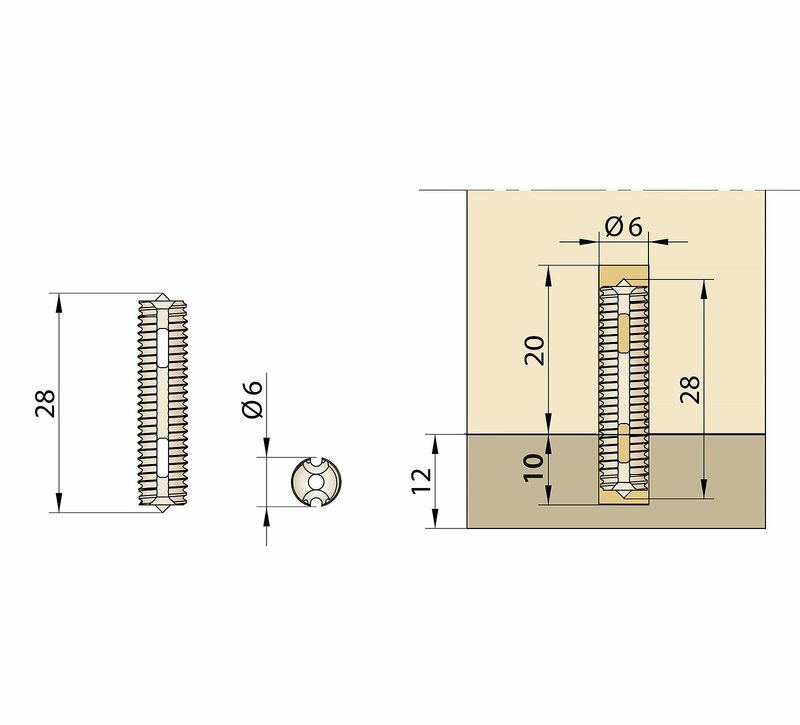 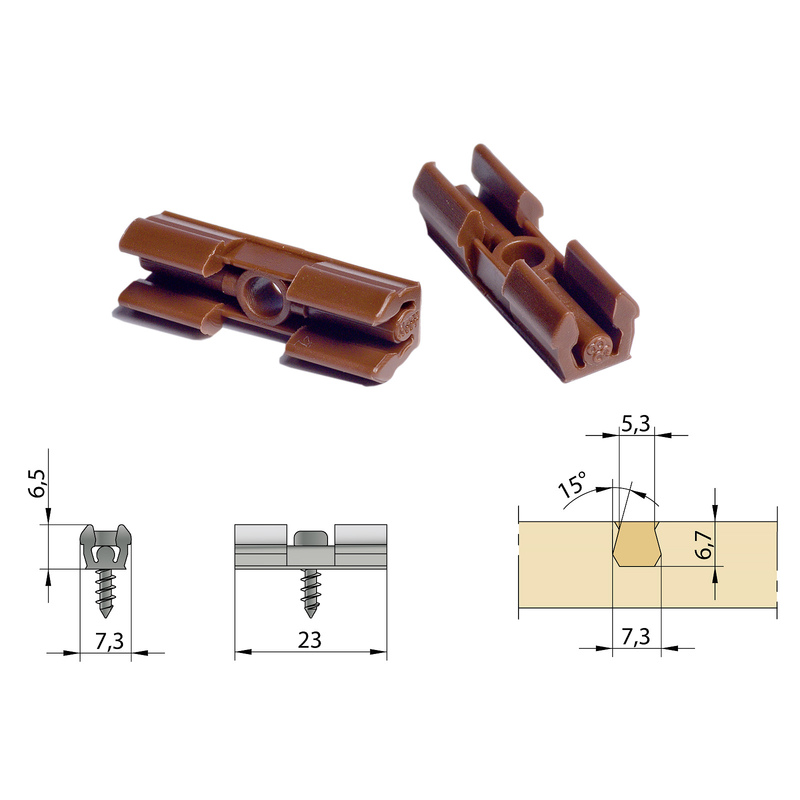 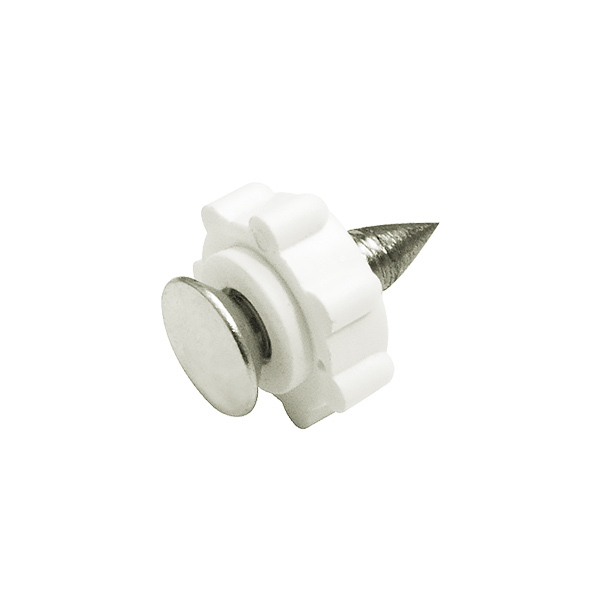 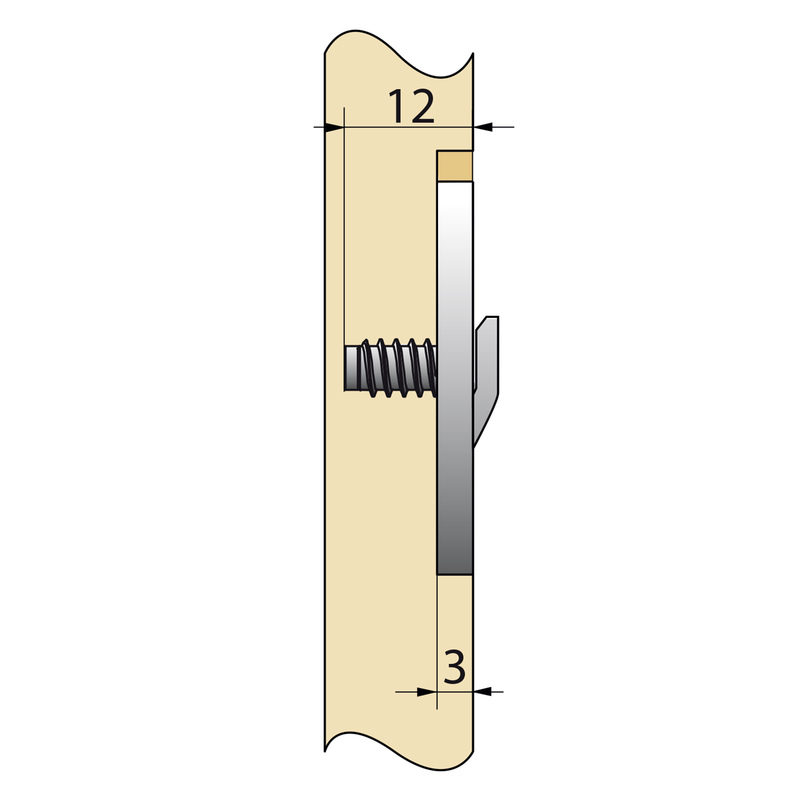 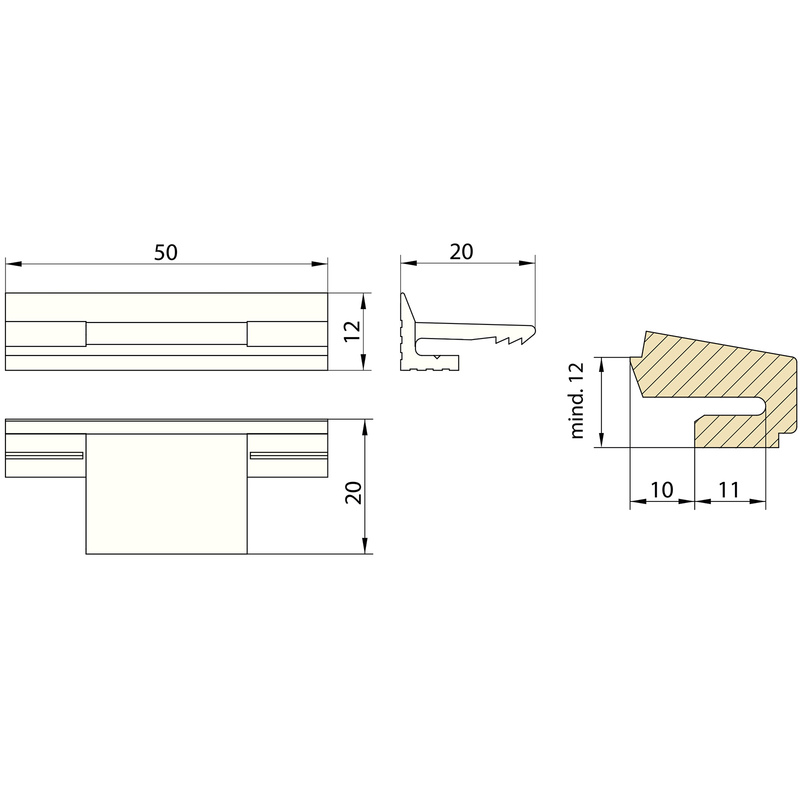 The DUO 35 fastener is screwed to the component with Euro-screws and ideal for the industrial use with a CNC-routing machine and especially suited to mount windows on site. 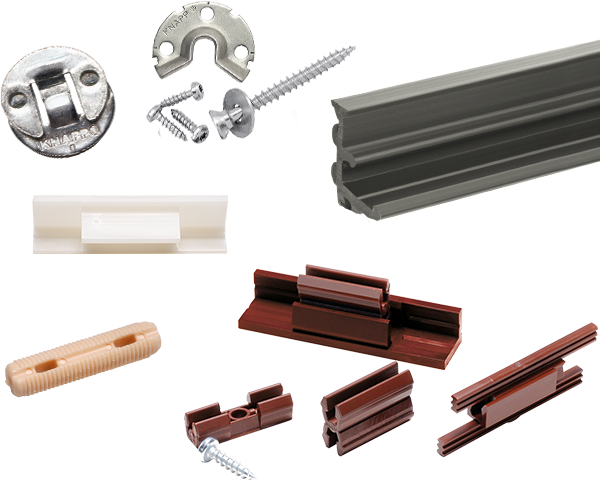 The KNAPP®-Dowel made of weather-resistant polyacetal (POM) plastic is available in 6 mm and 8 mm diameters. 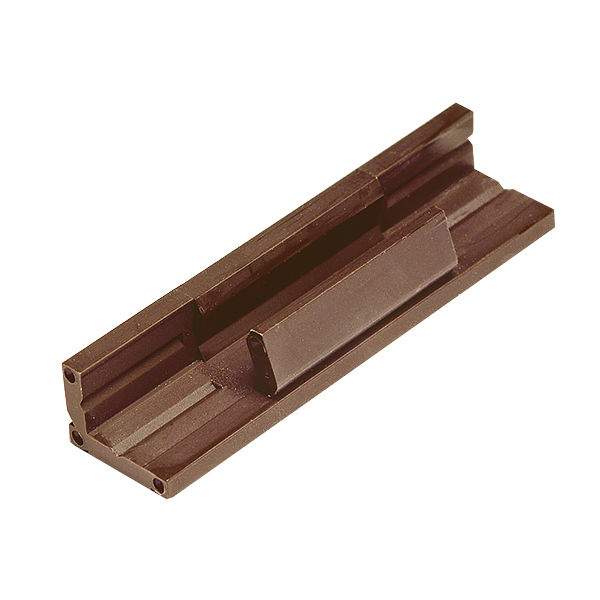 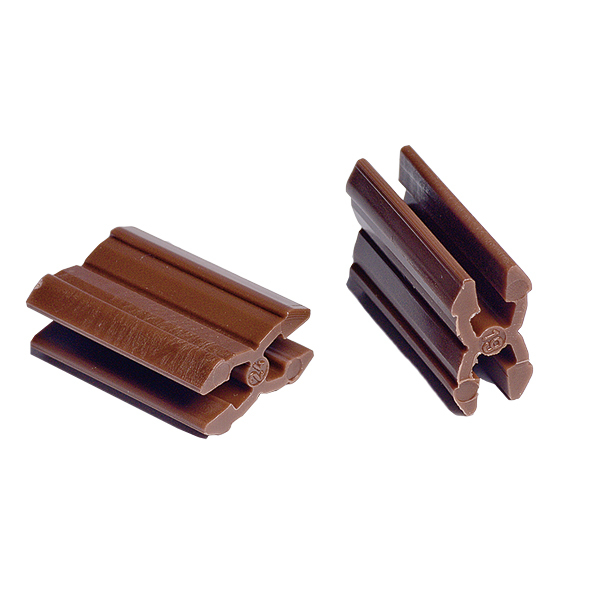 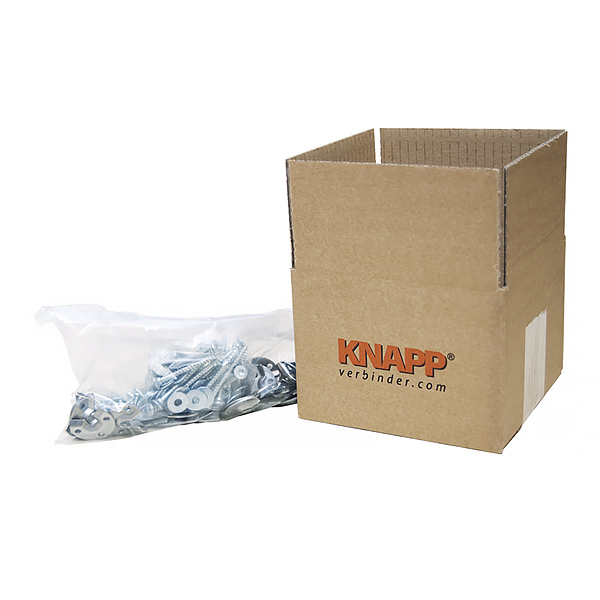 The KNAPP®-Dowel consists of high-strength and weather-resistant plastic. 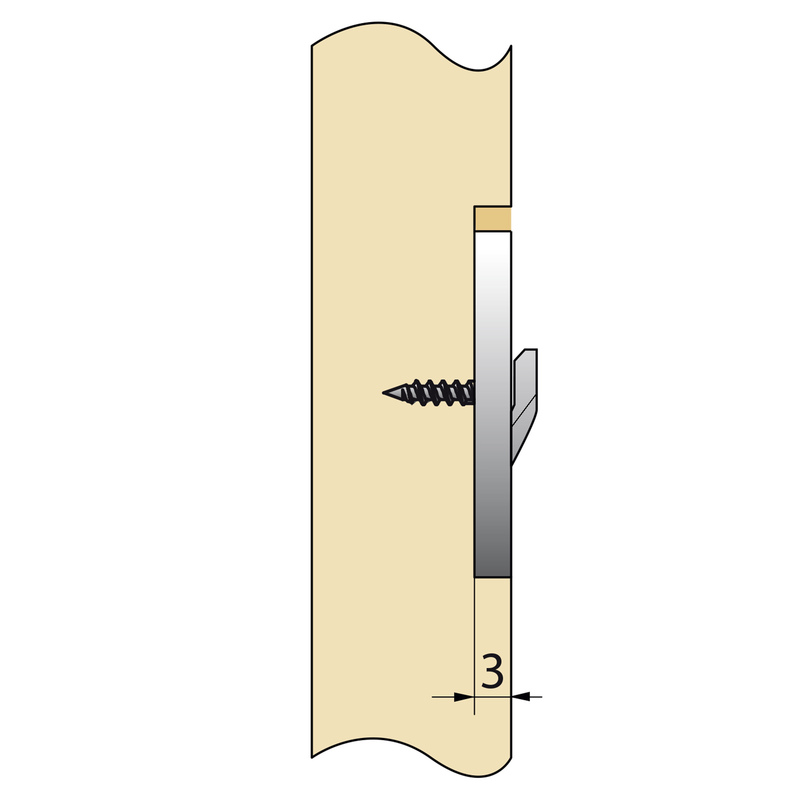 The longitudinal grooves and the two holes ensure a firm anchoring in the material. 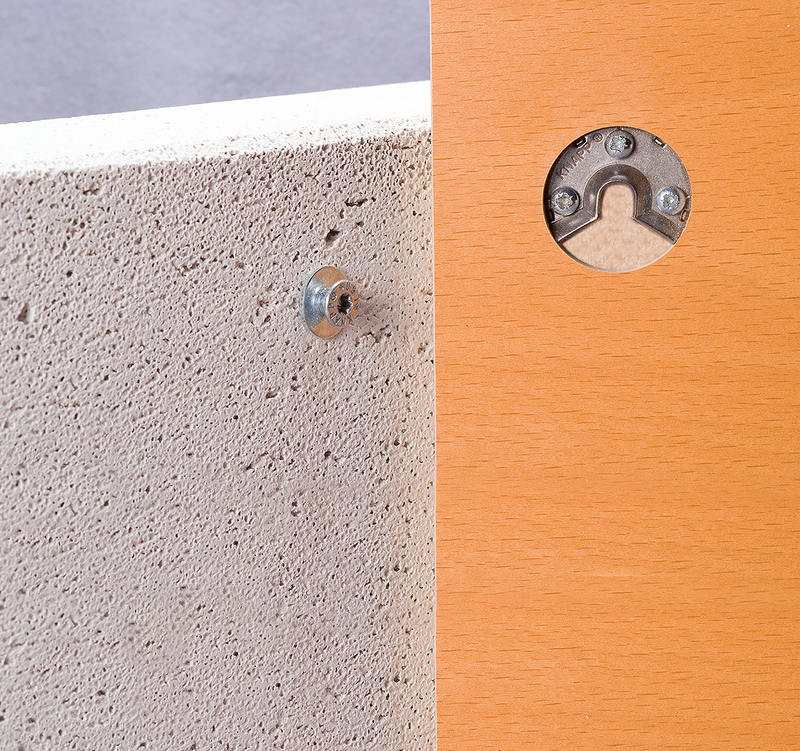 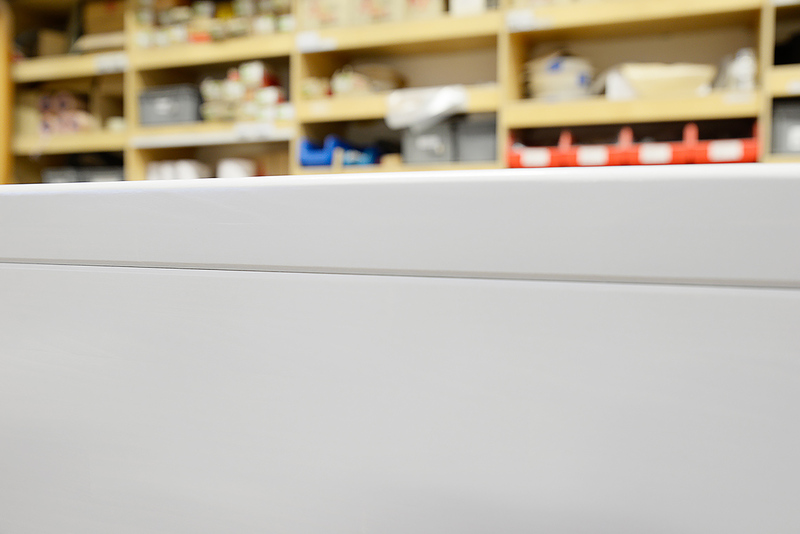 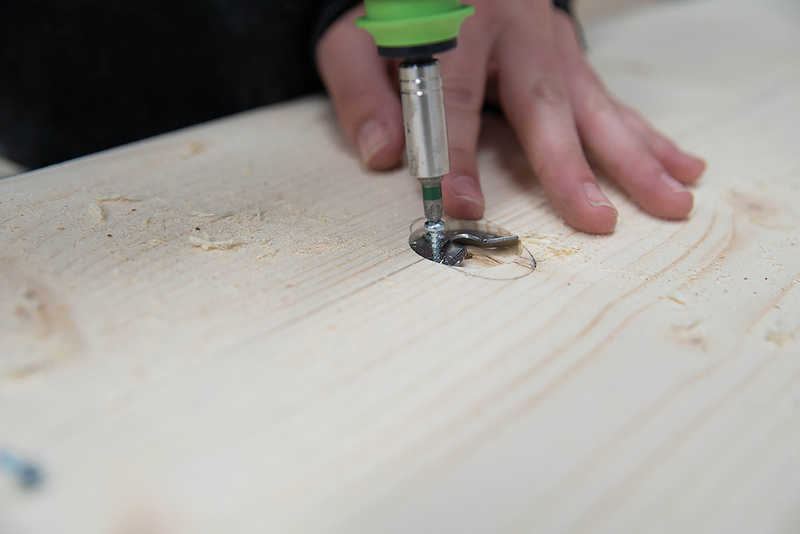 In combination with the KNAPP®-Glue, it creates a strong and tight connection between the components when hardened. 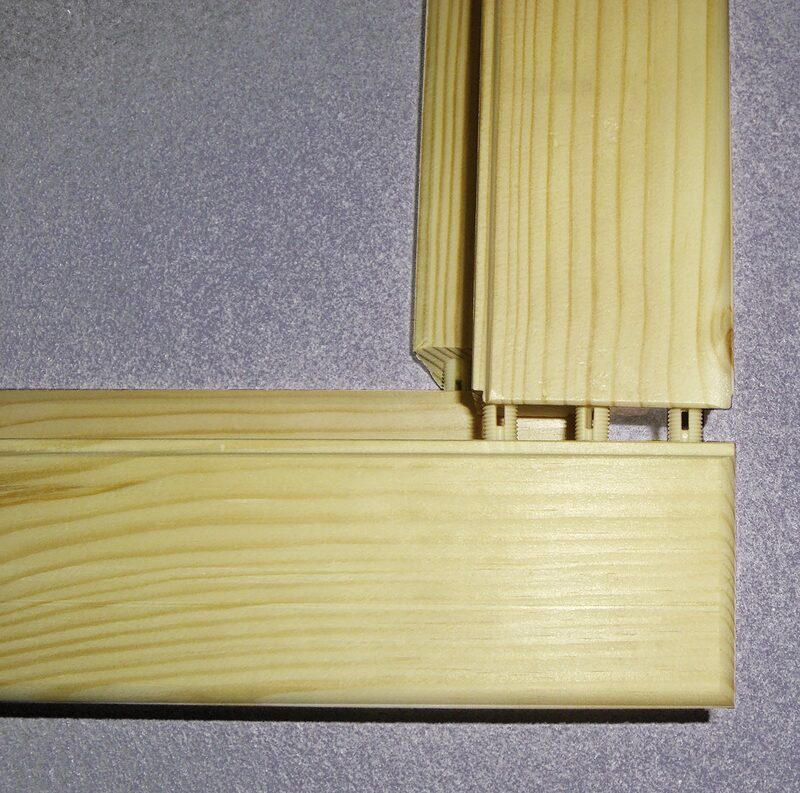 Strong – joint can be loaded immediately after assembly, as the transverse grooves increase the strength. 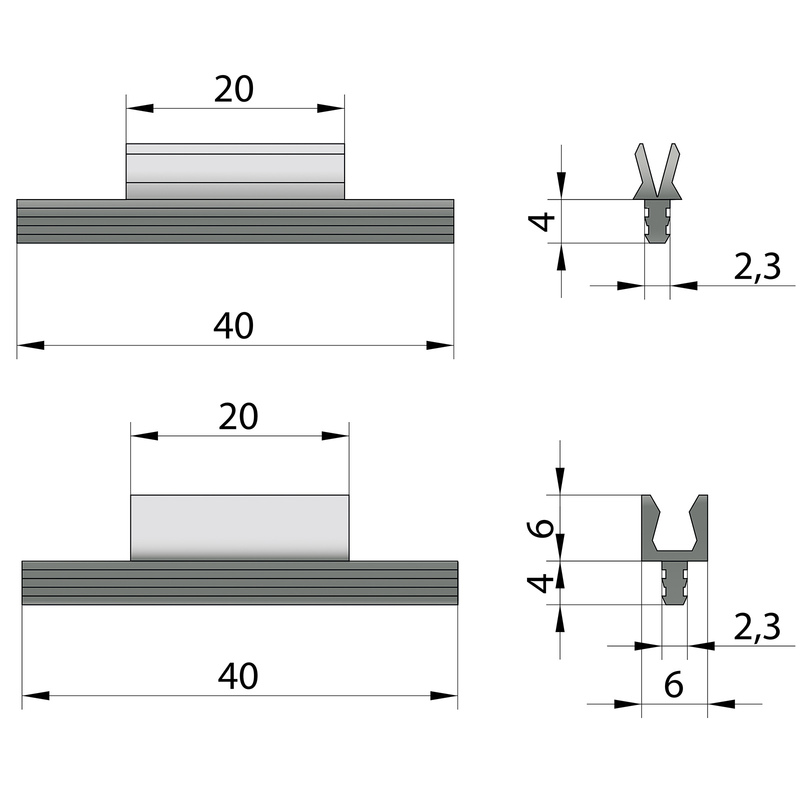 Fast – absolutely no clamping/pressing times (important for automatic dowel manufacturing). 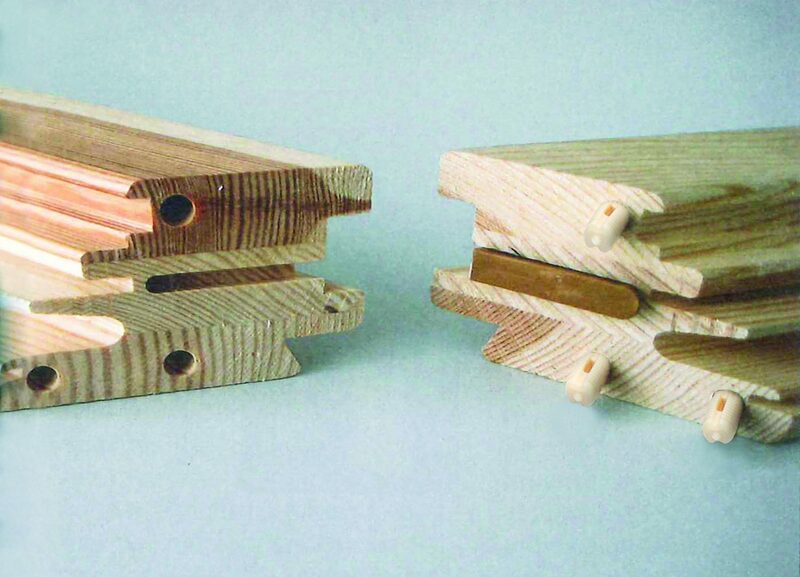 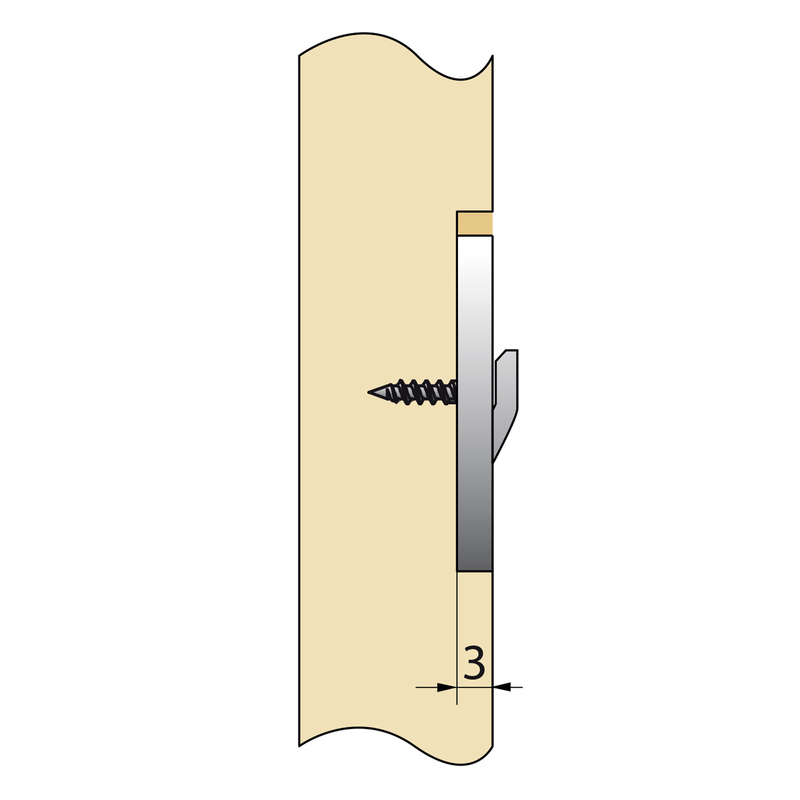 Self-tightening – the threads on the dowel ensure a strong hold until the glue is hardened. 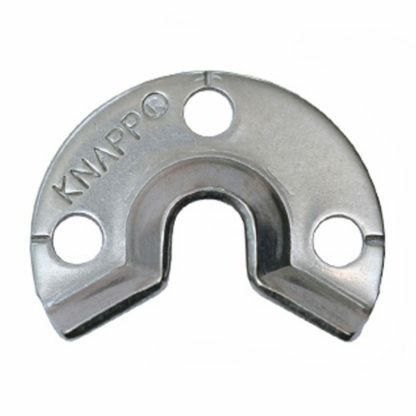 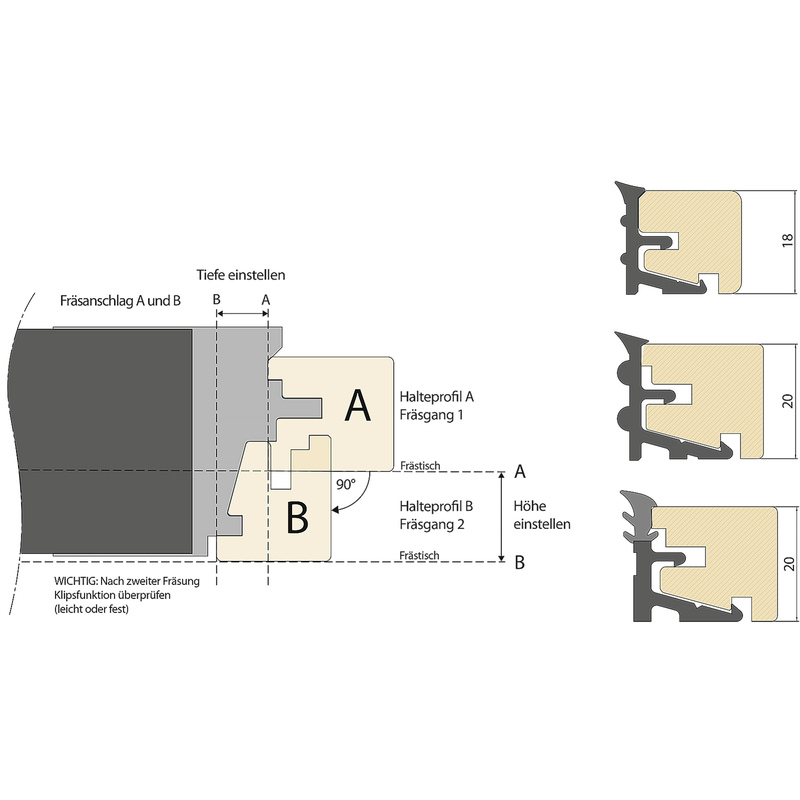 Efficient – as opposed to conventional dowel and glue methods, the longitudinal grooves on the KNAPP-Dowel assure the optimum distribution of the glue in the borehole and prevent bulging of i.e. 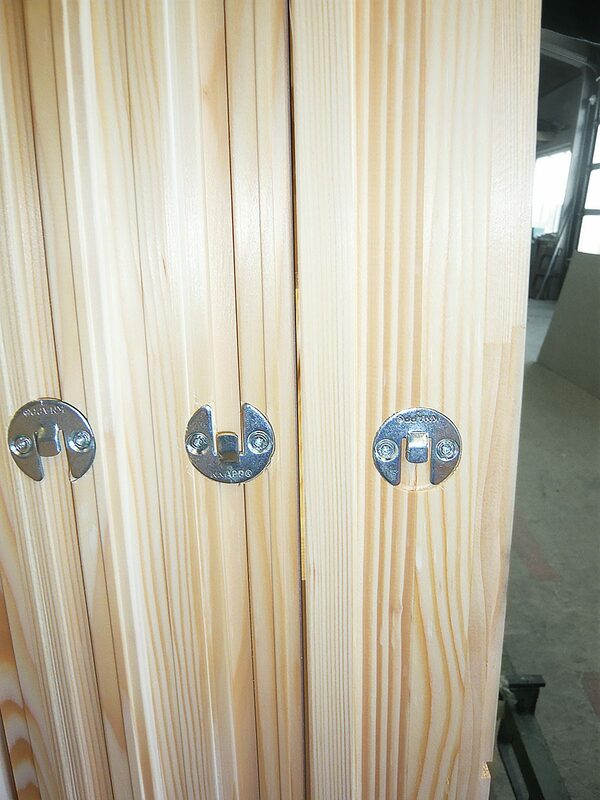 chipboards due to the swelling of the glue. 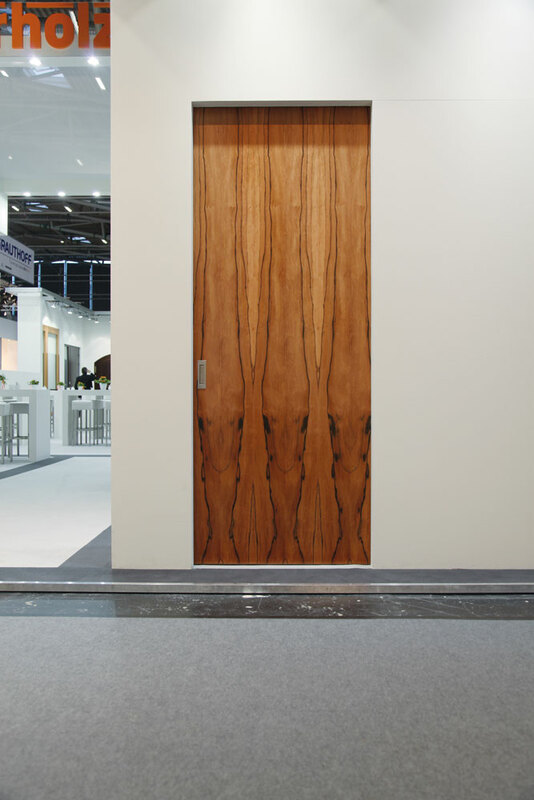 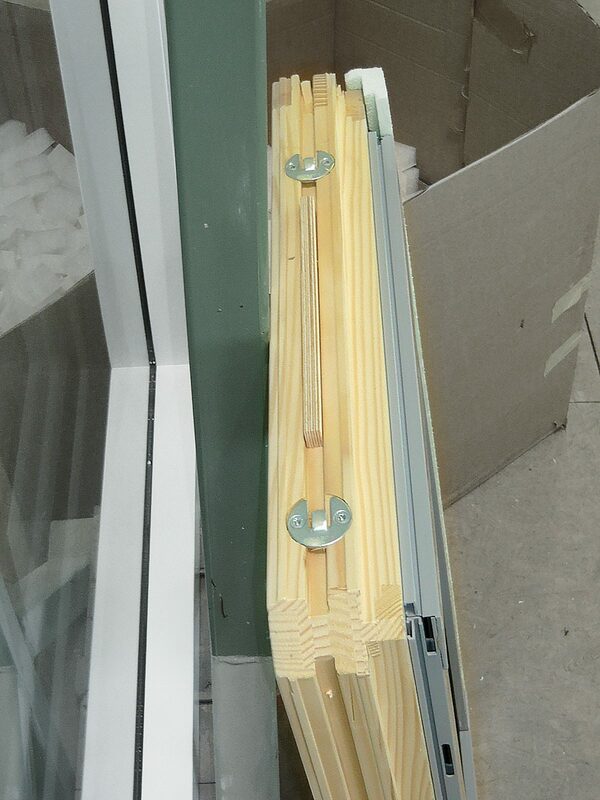 Robust – no opening of the joint due to shrinkage and swelling behavior, even when exposed to the environmental humidity changes. 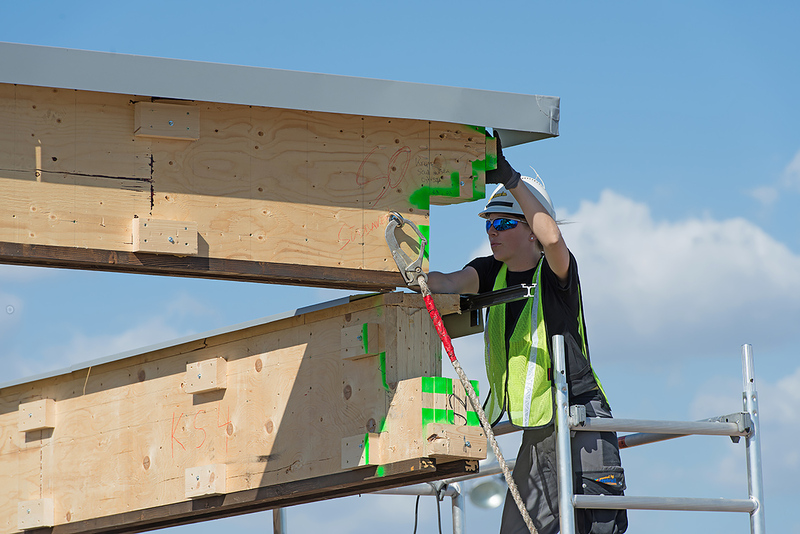 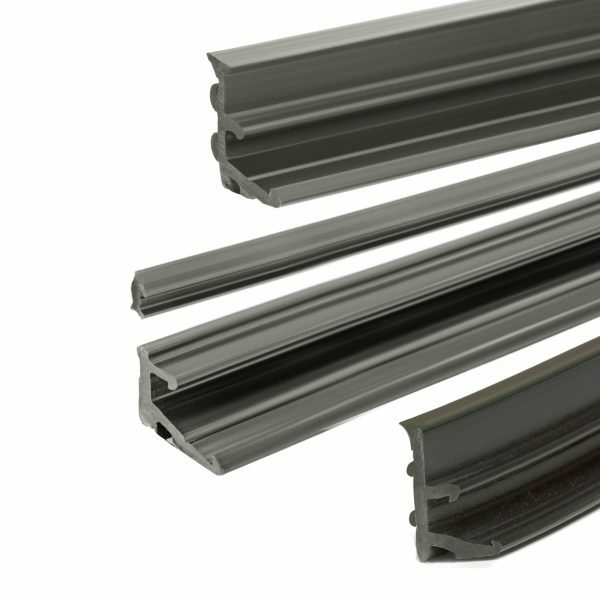 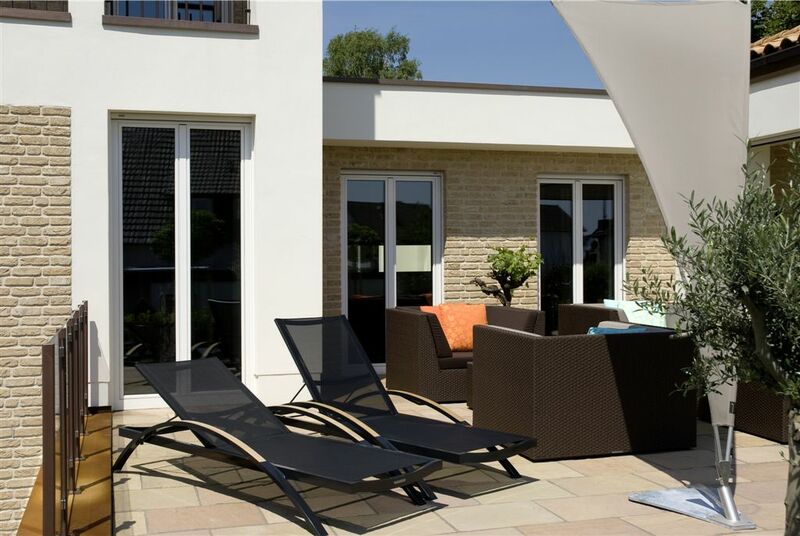 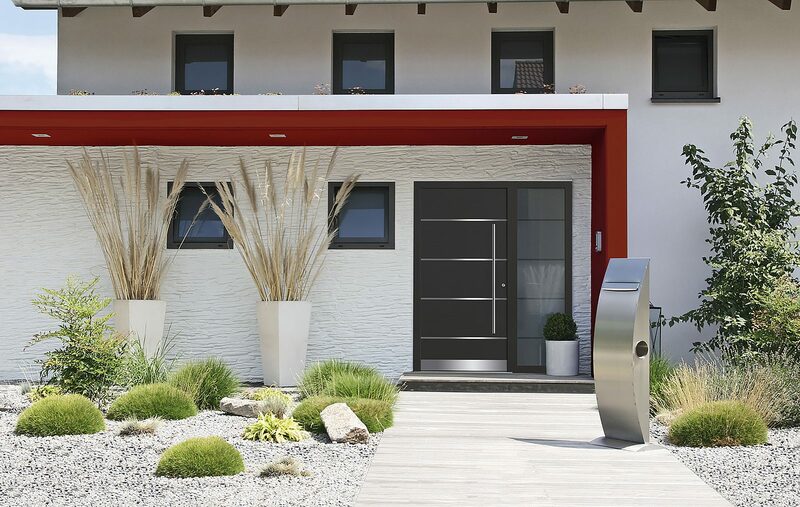 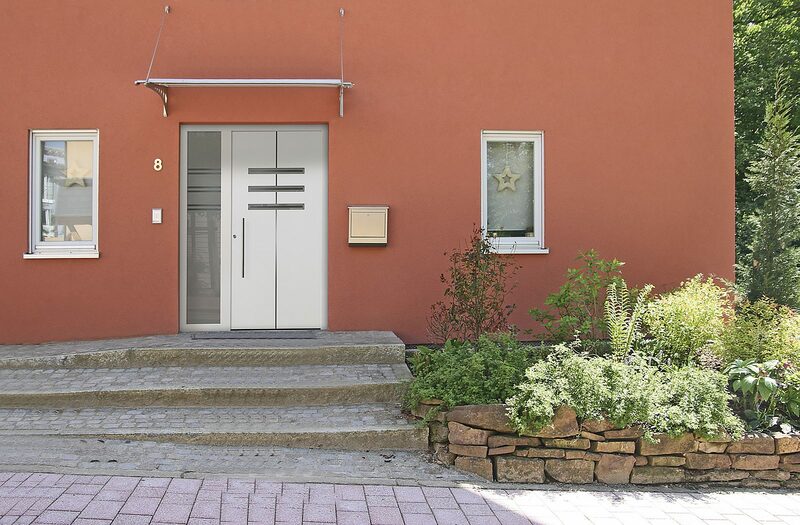 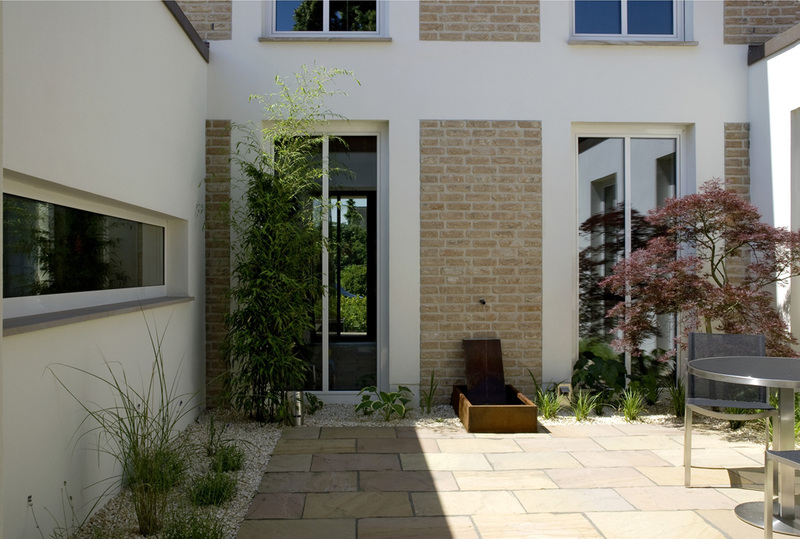 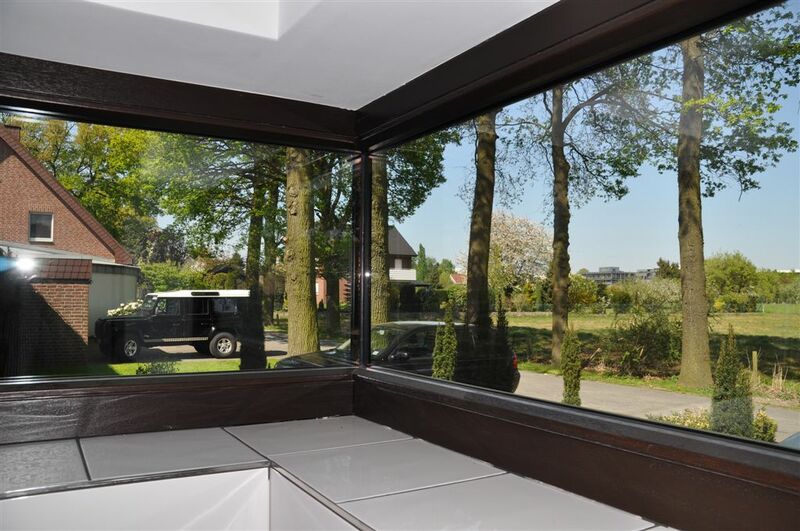 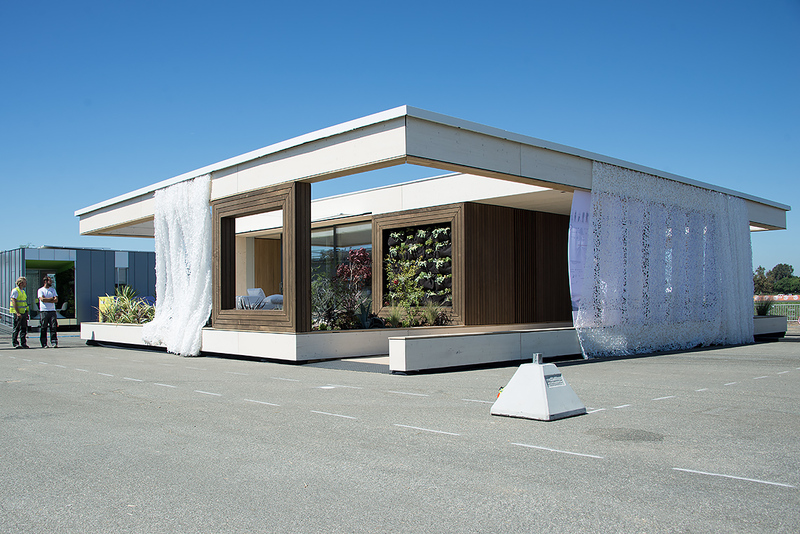 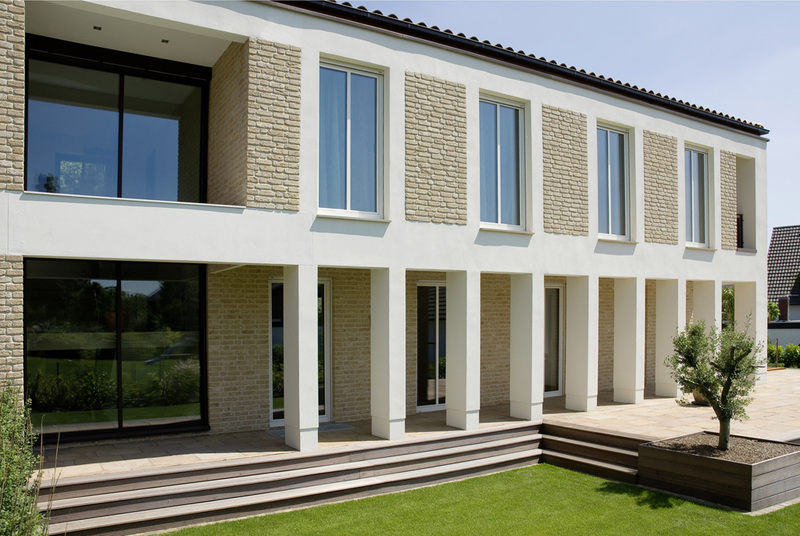 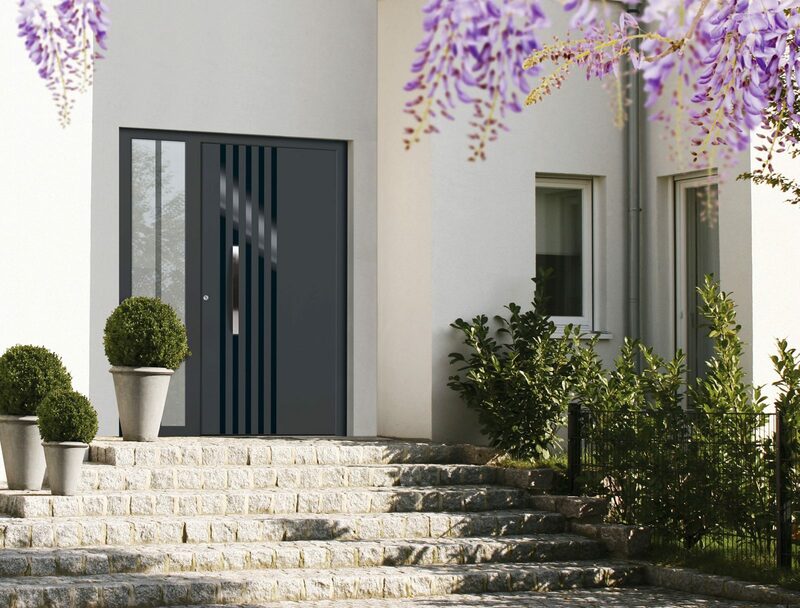 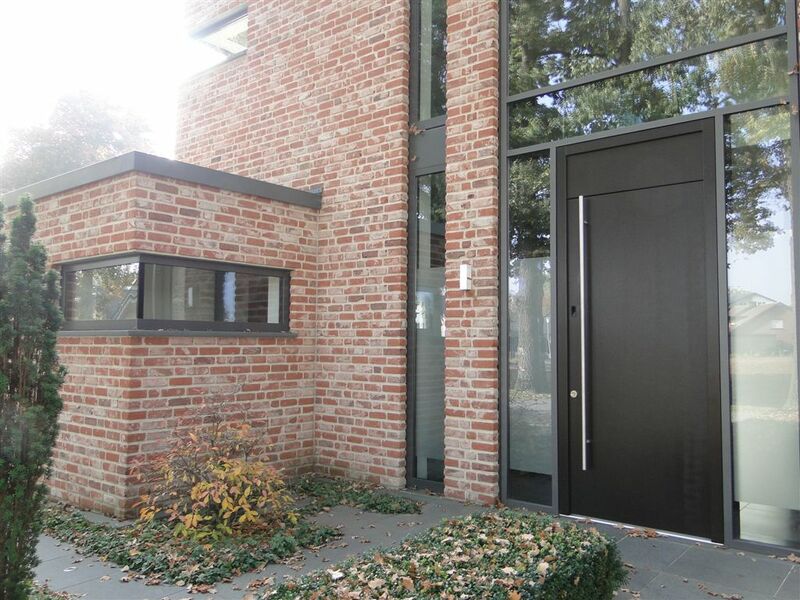 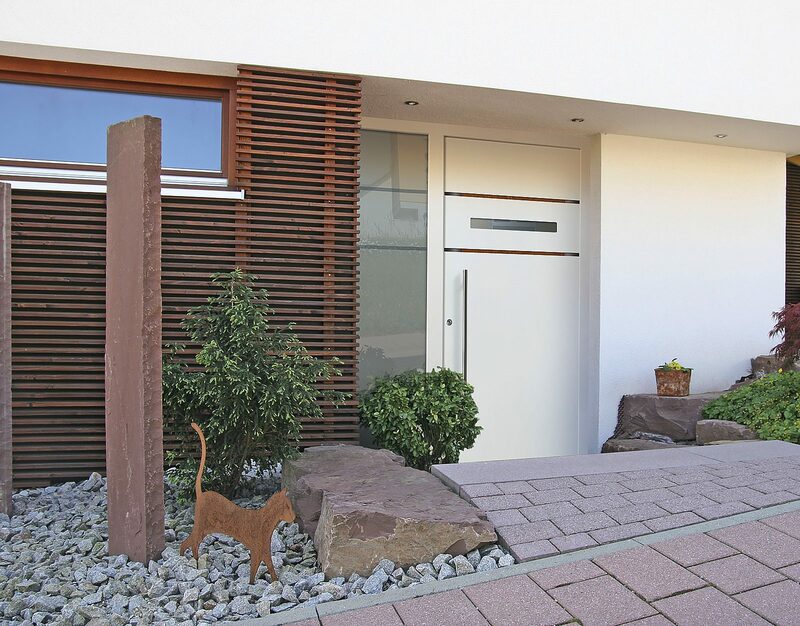 Weather resistant – connection for inside and outside application. 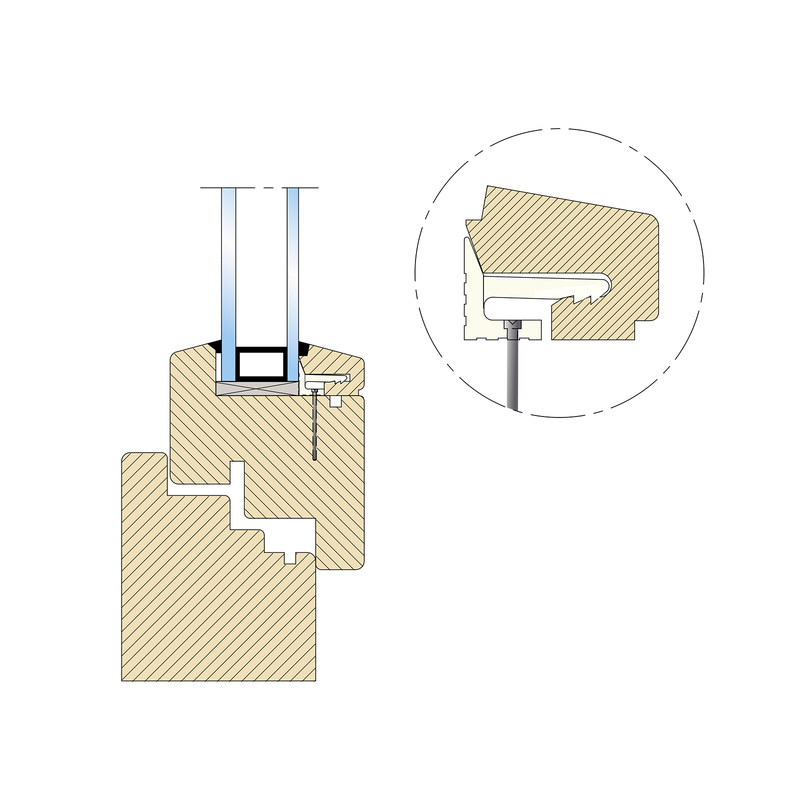 Safe – the transverse grooves increase the holding force in the borehole – it provides space for the glue in between the dowel and the inner wall of the borehole – secure and immediate fixation and positioning of the components until the glue is hardened. 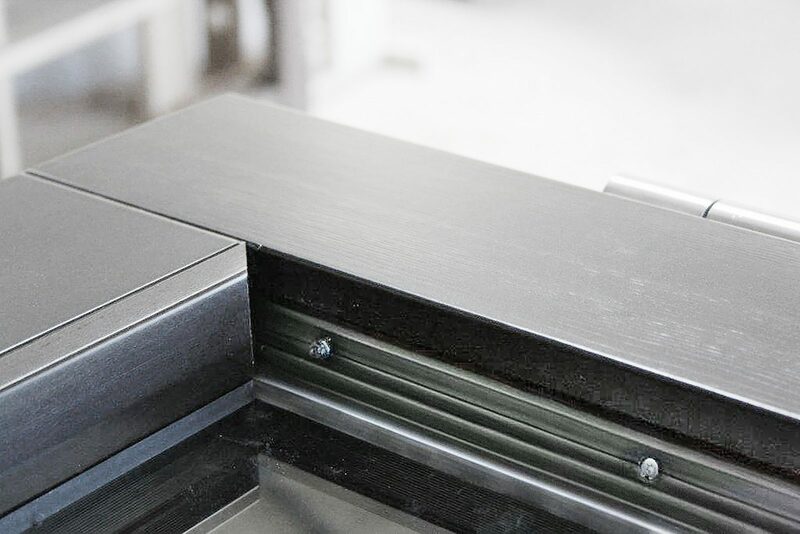 Clean – for automated dowel machines, we recommend simple white glue (for example PVAc) for easy and simple cleaning of the machines. 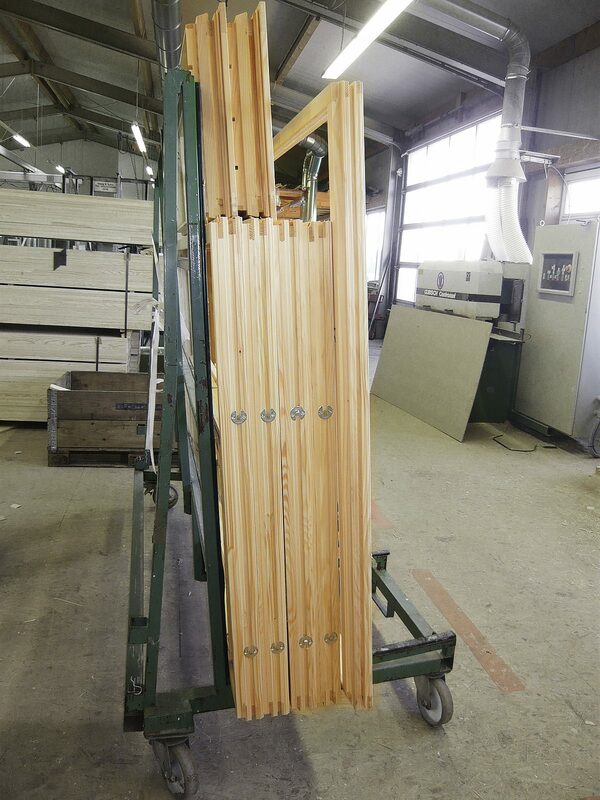 Automatic processing – KNAPP-Dowels work very well for automatic processing. 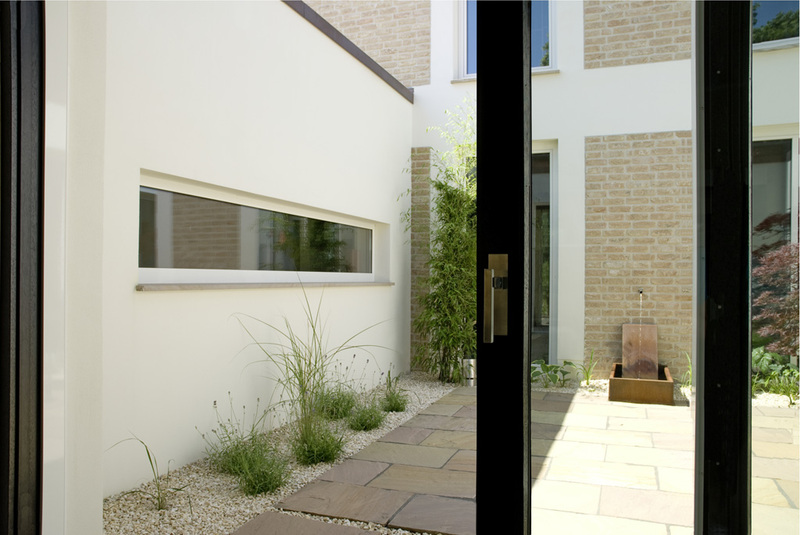 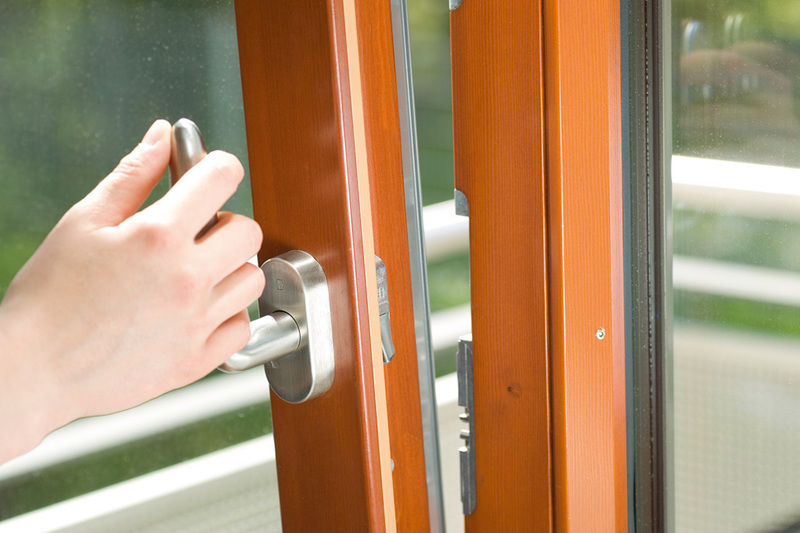 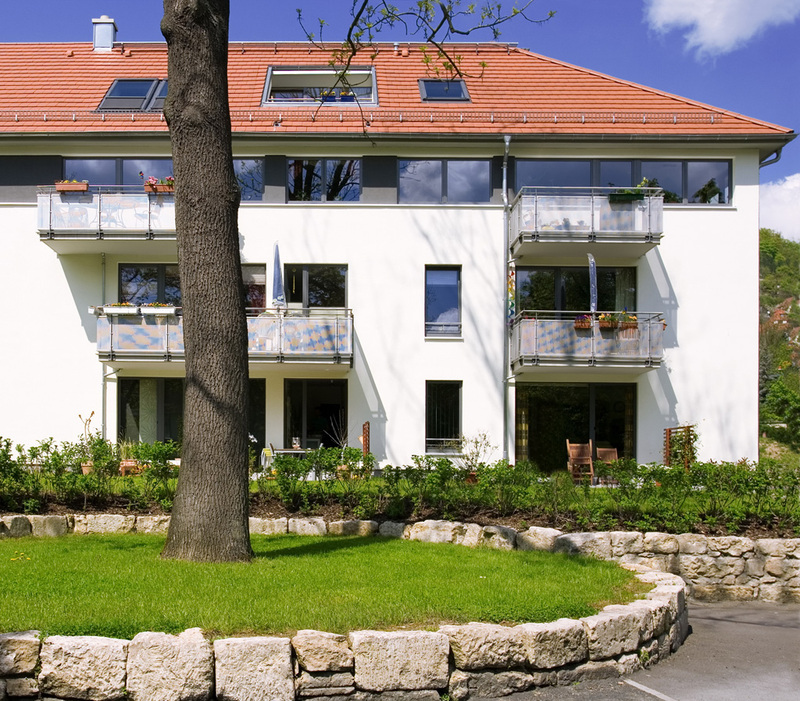 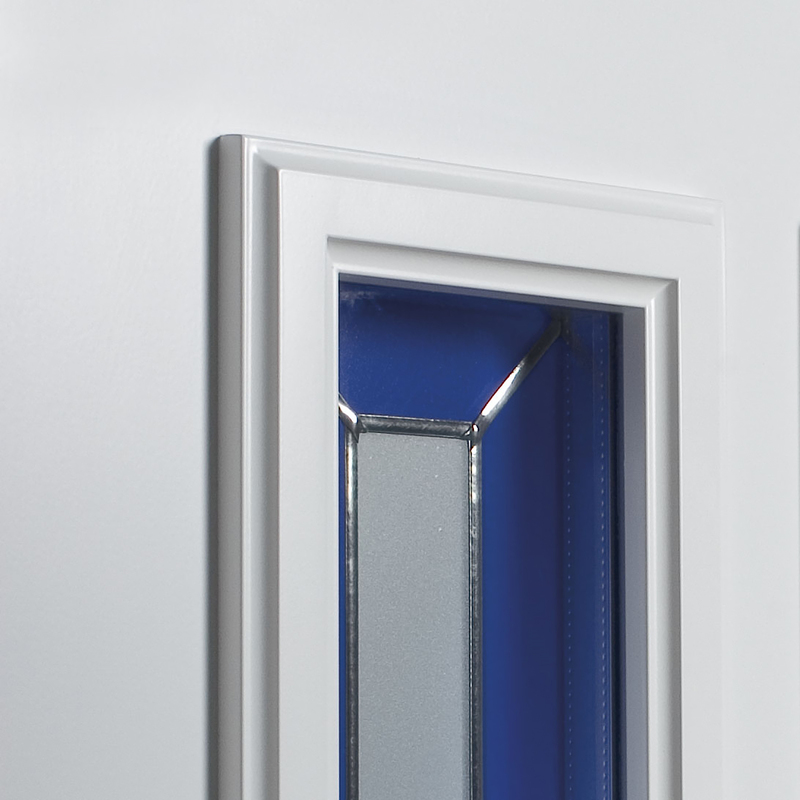 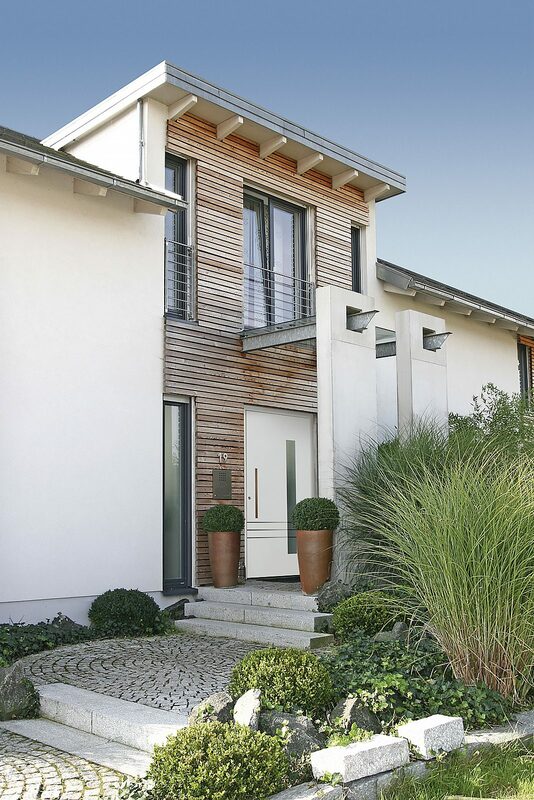 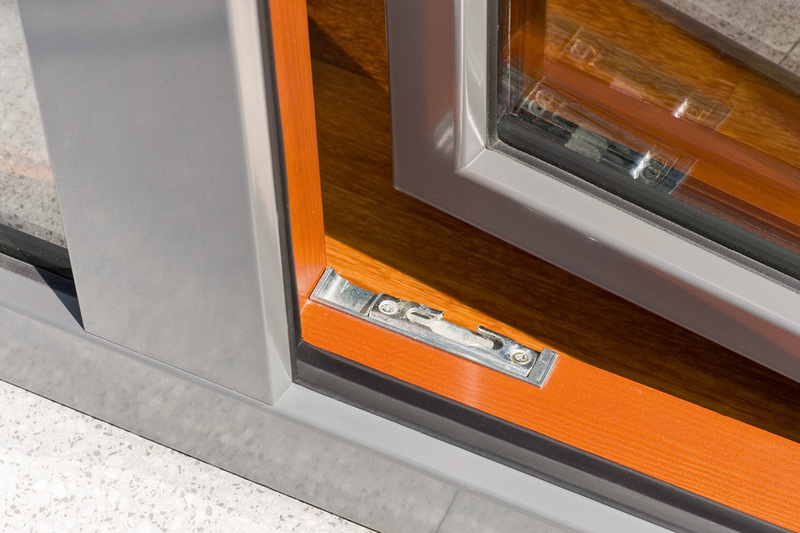 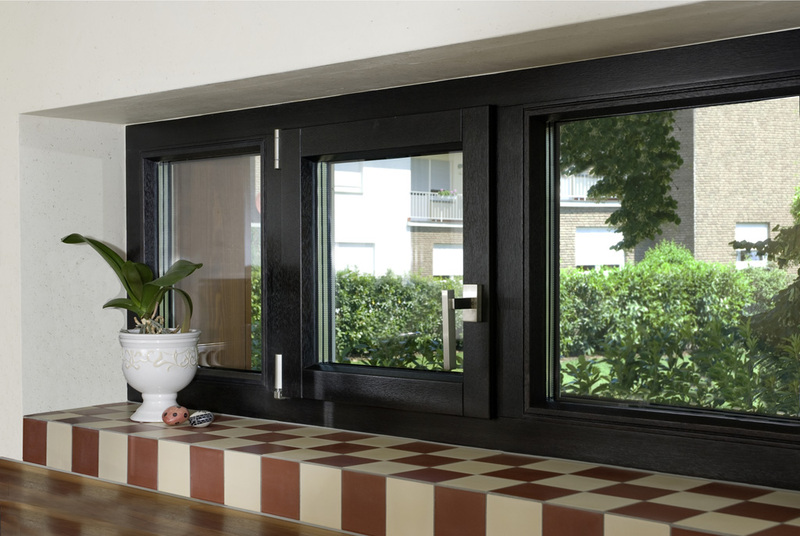 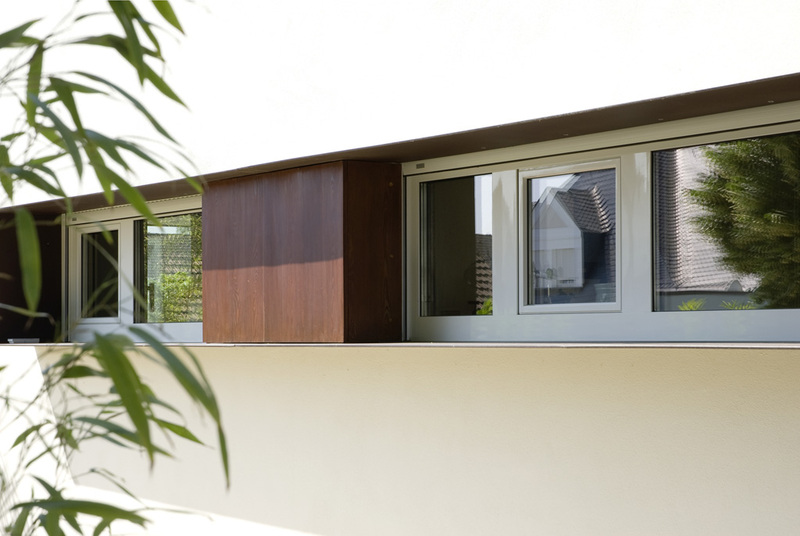 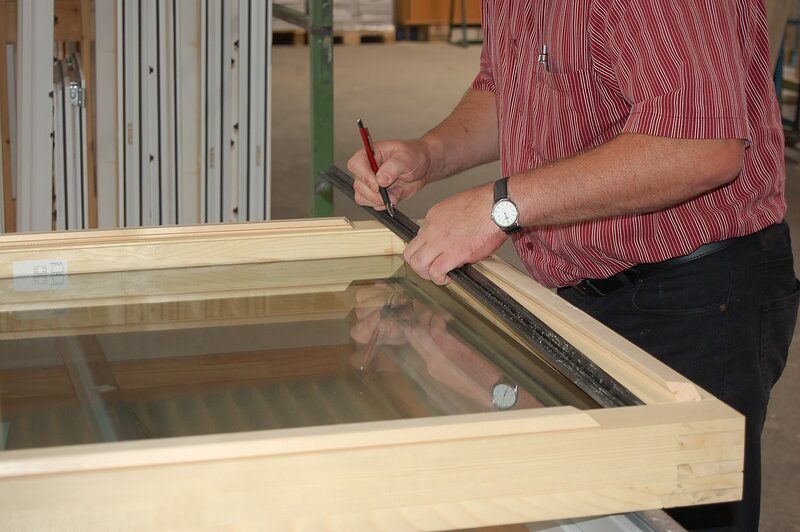 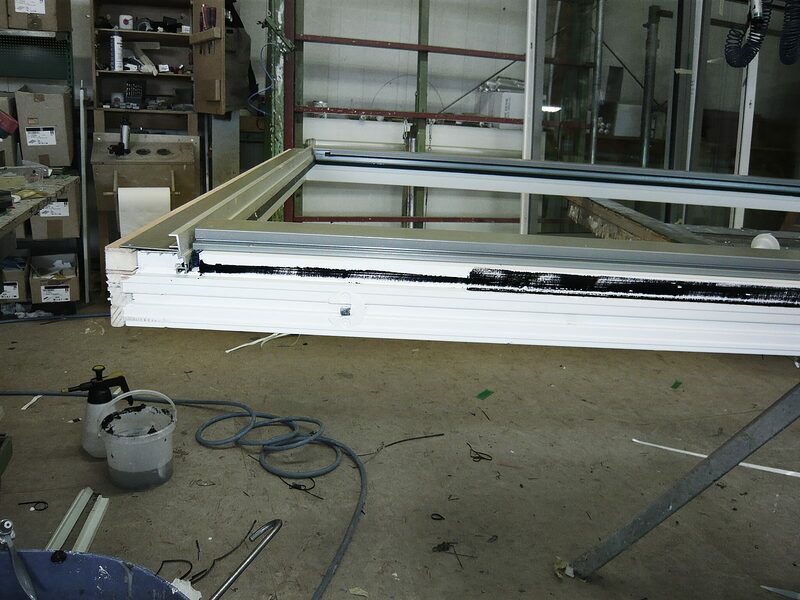 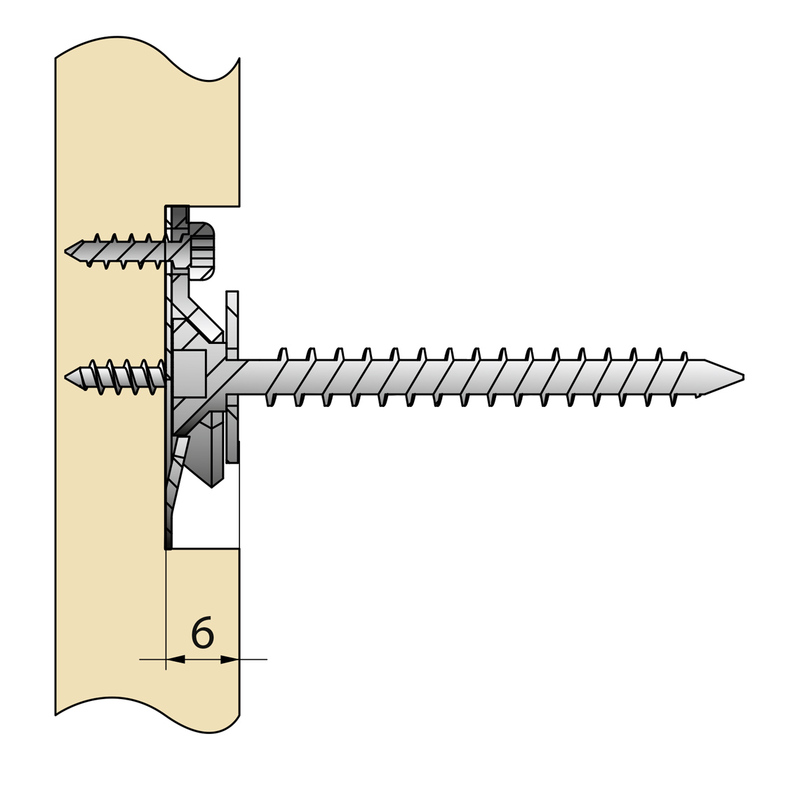 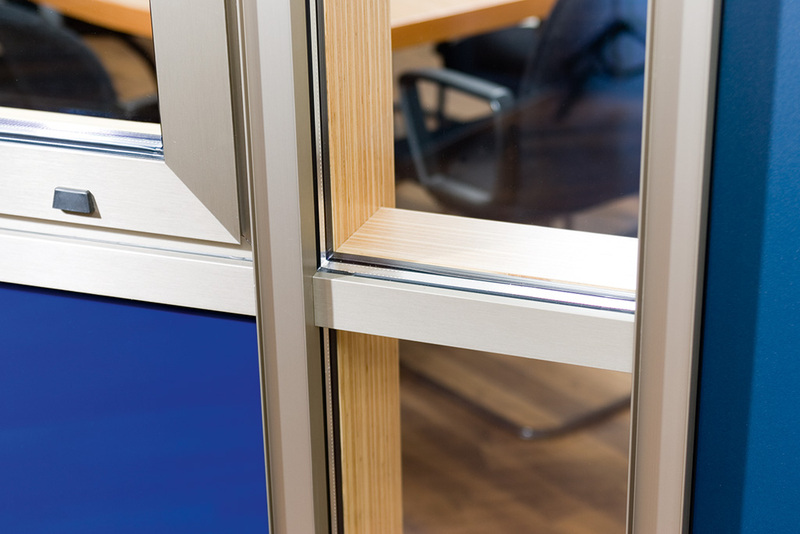 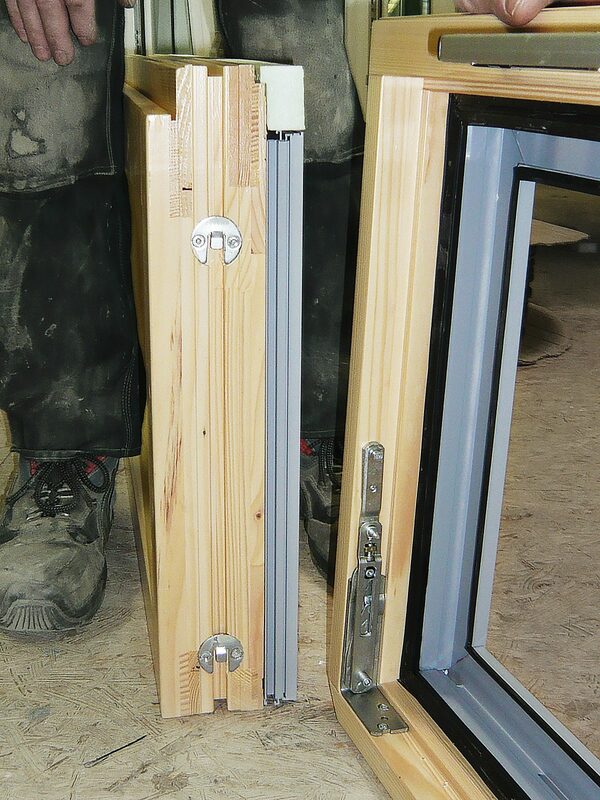 Burglary protection – RC1 and RC2 safety can be achieved by using screws to fix the dry glazing systems (must be verified by a separate test of the element).